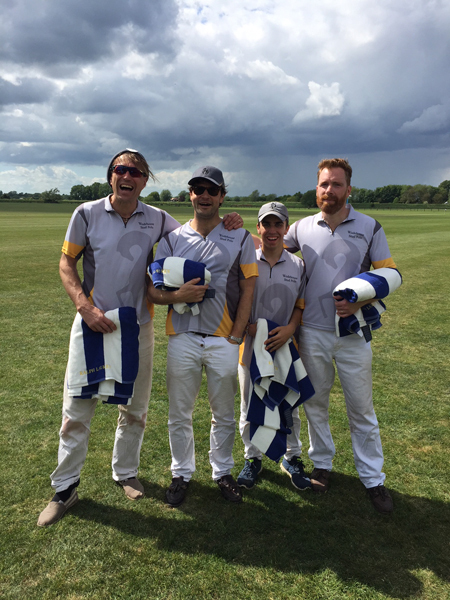 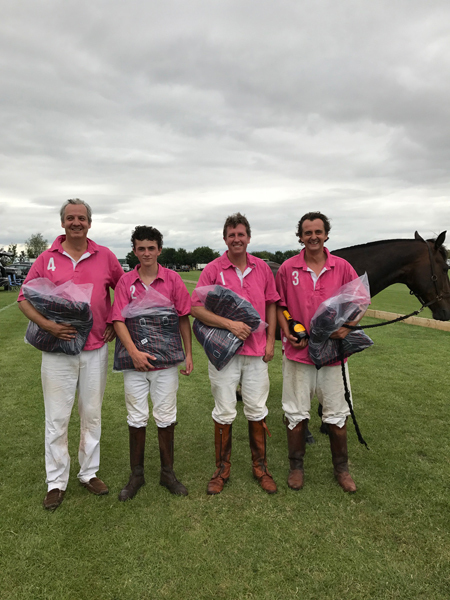 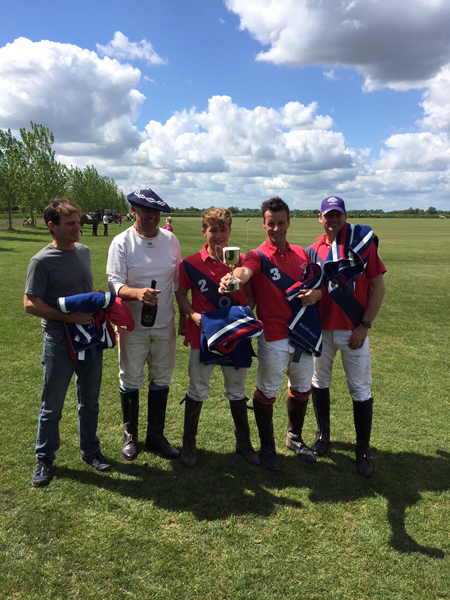 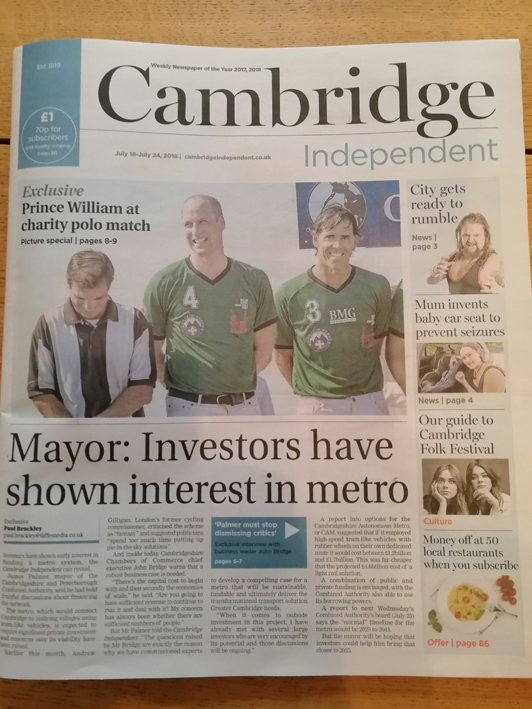 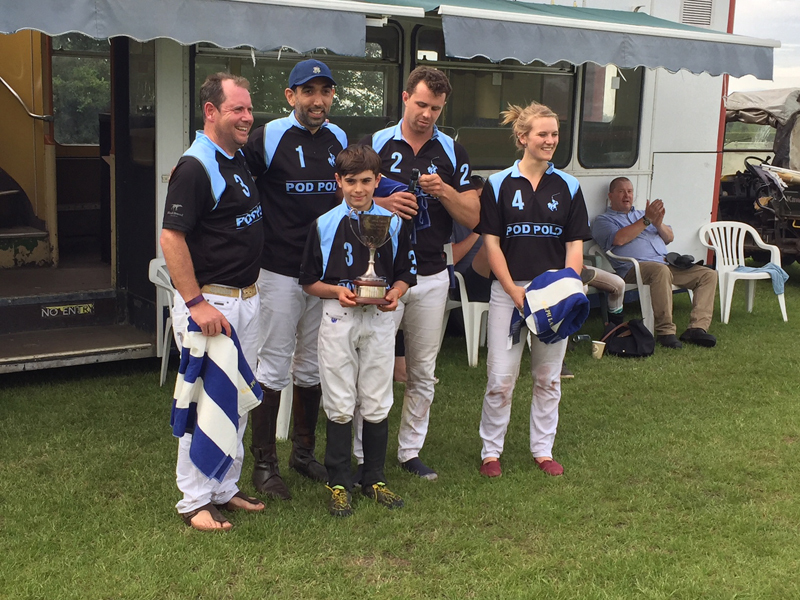 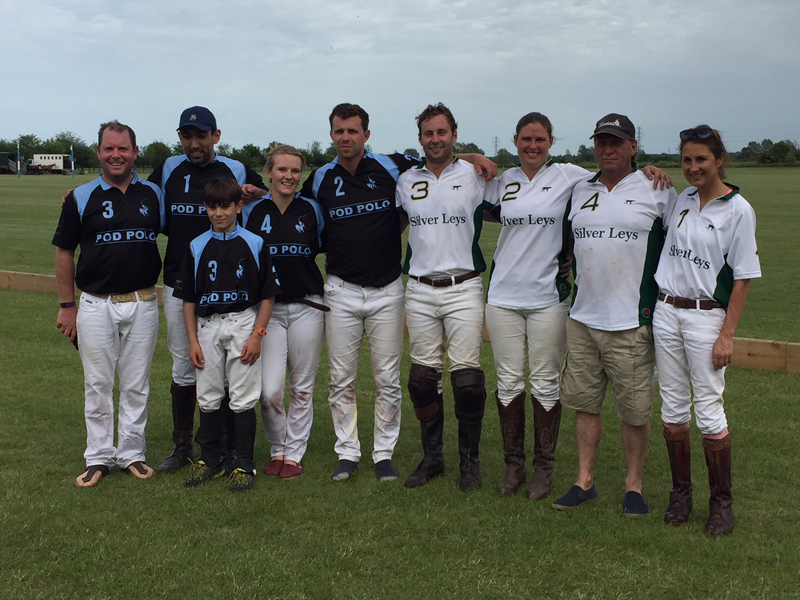 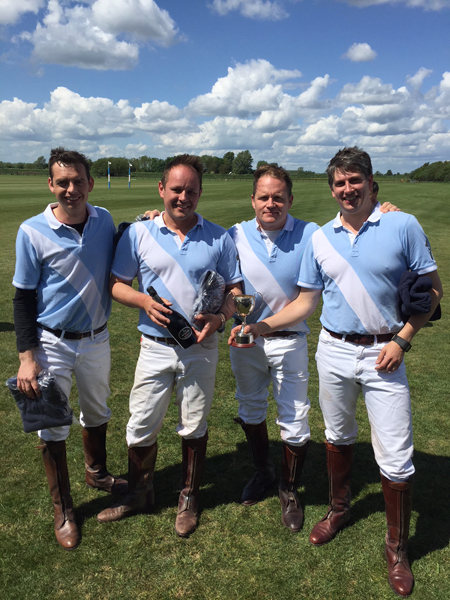 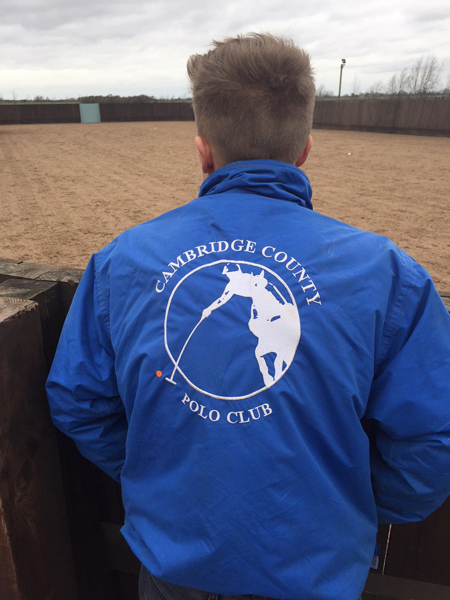 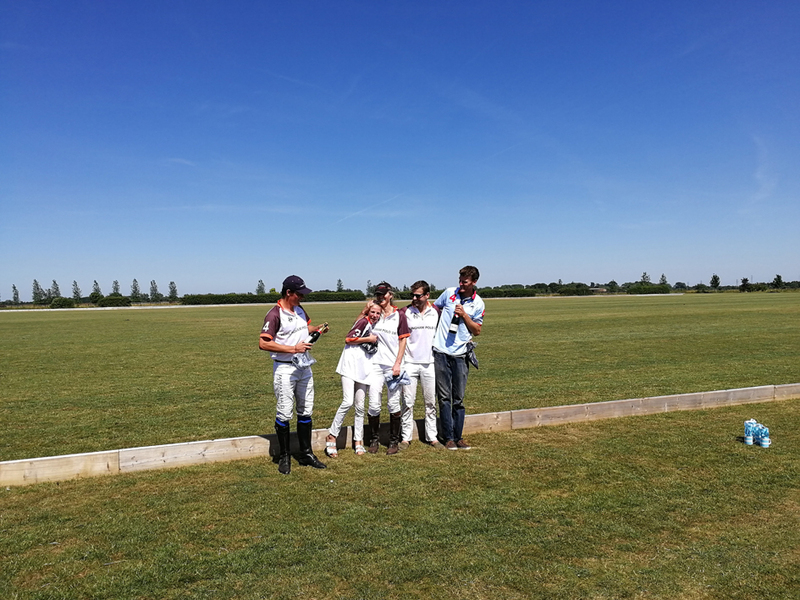 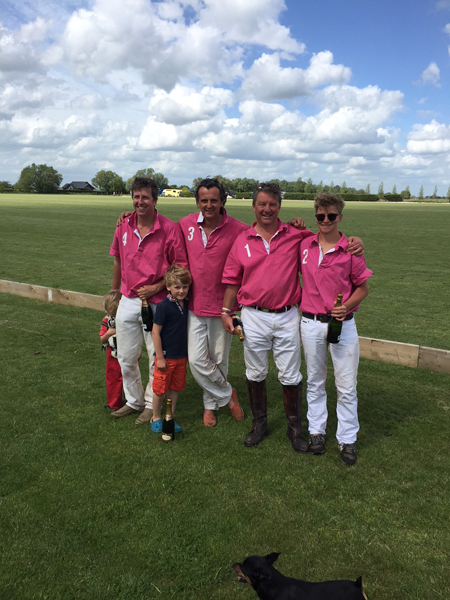 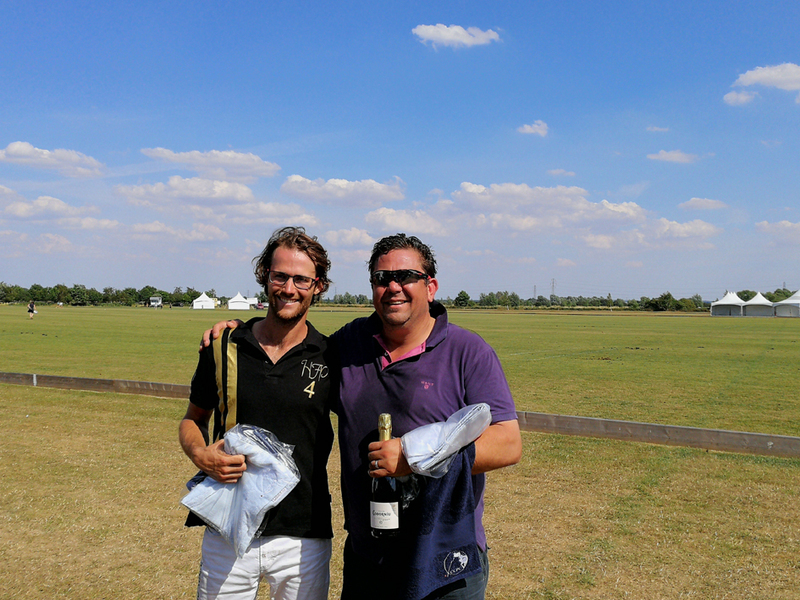 We are a Cambridge Polo Club based in Lode,Cambridgeshire. 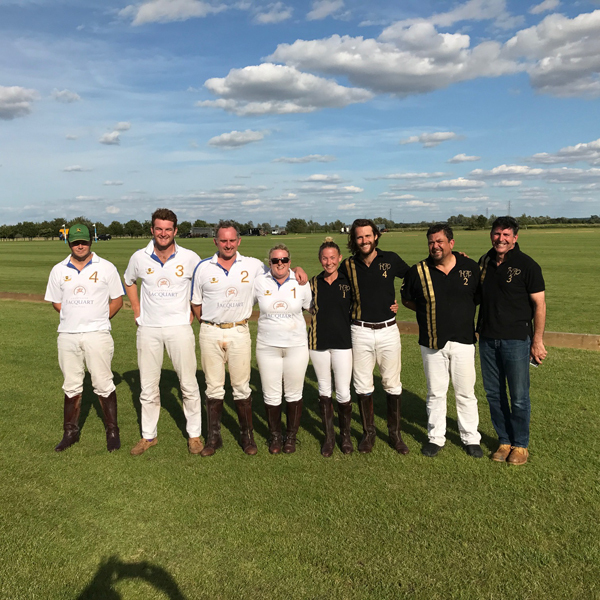 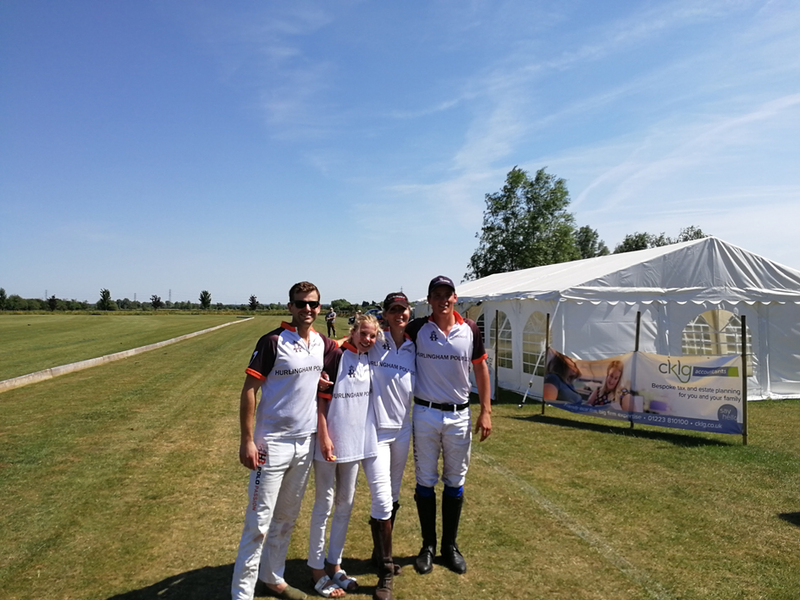 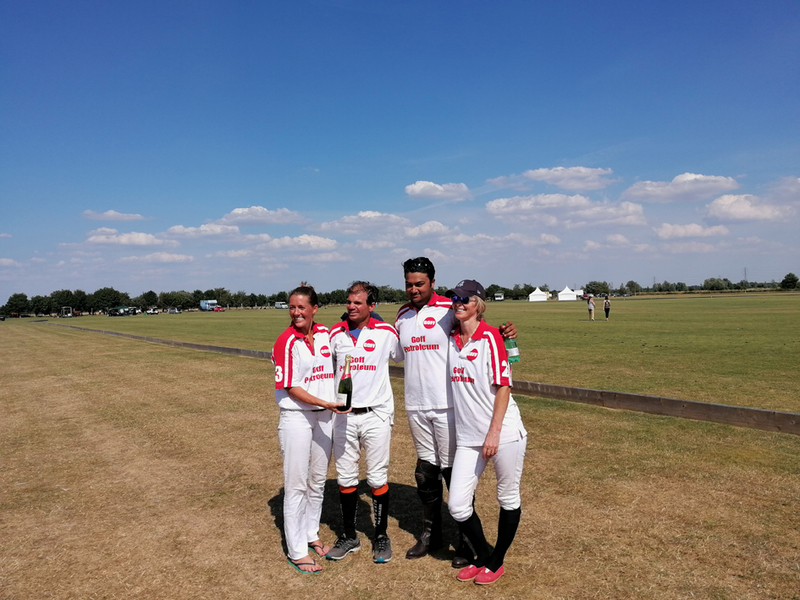 Welcome to Cambridge County Polo Club, nestling in an idyllic rural setting of 220 acres of polo estate, near Lode, Cambridgeshire, between Cambridge and Newmarket. 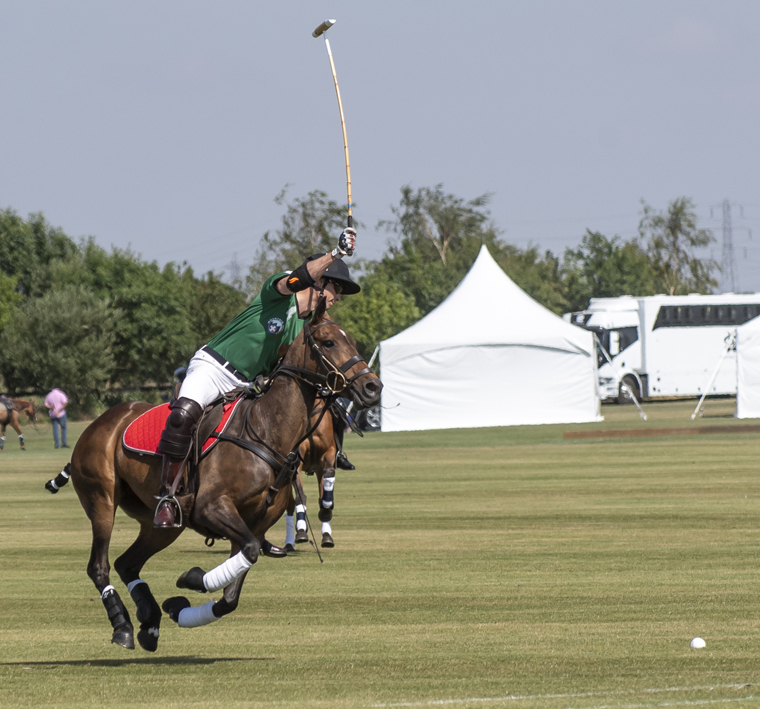 This family orientated Polo Club boasts five pristine polo grounds laid on black peat, to cushion the ponies limbs. 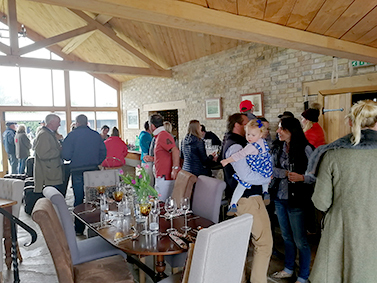 The social side of the club is enjoyed by its members, and it centres itself around the oak framed club house with its unique Punt Room. 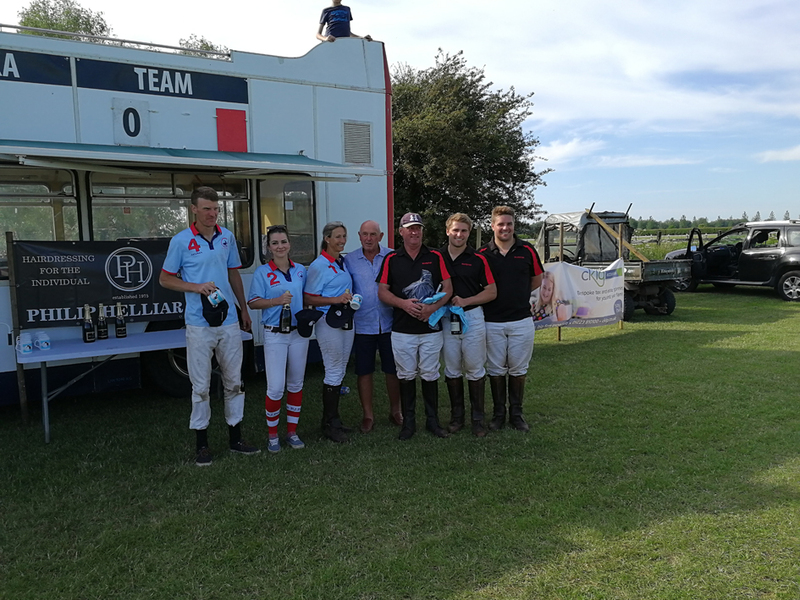 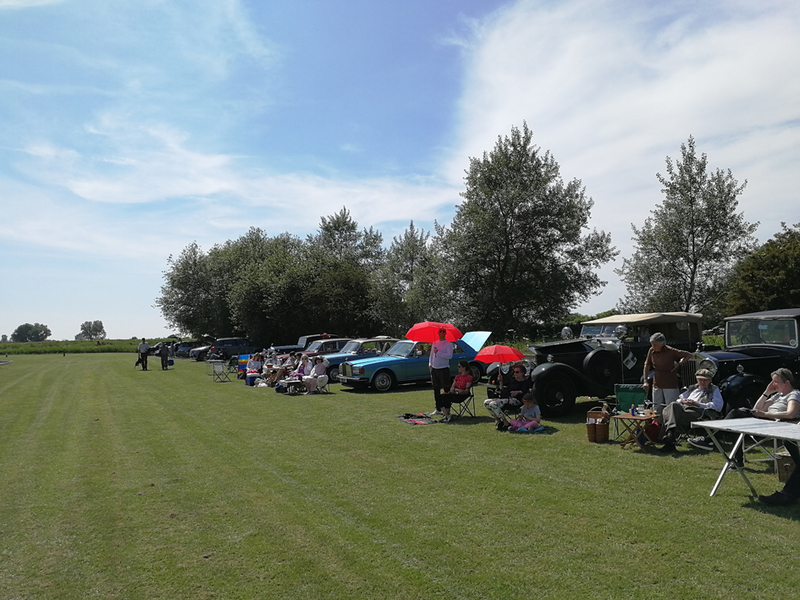 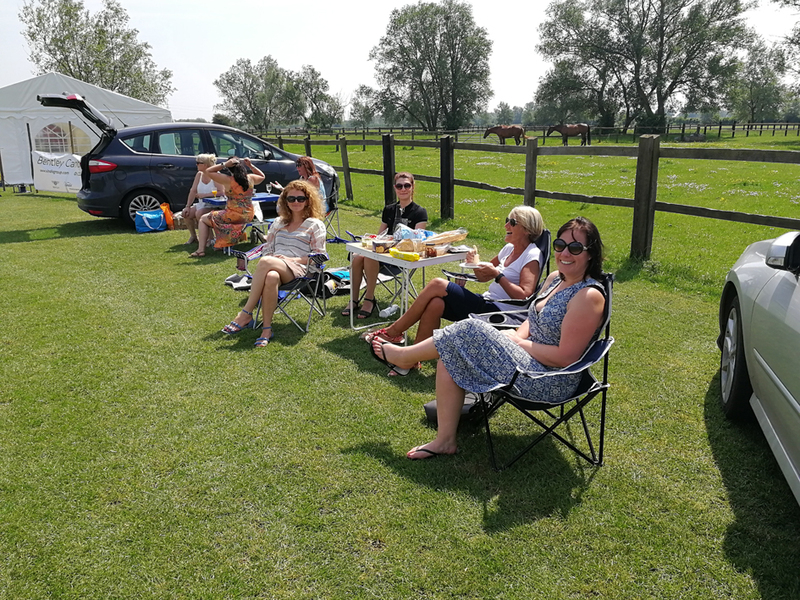 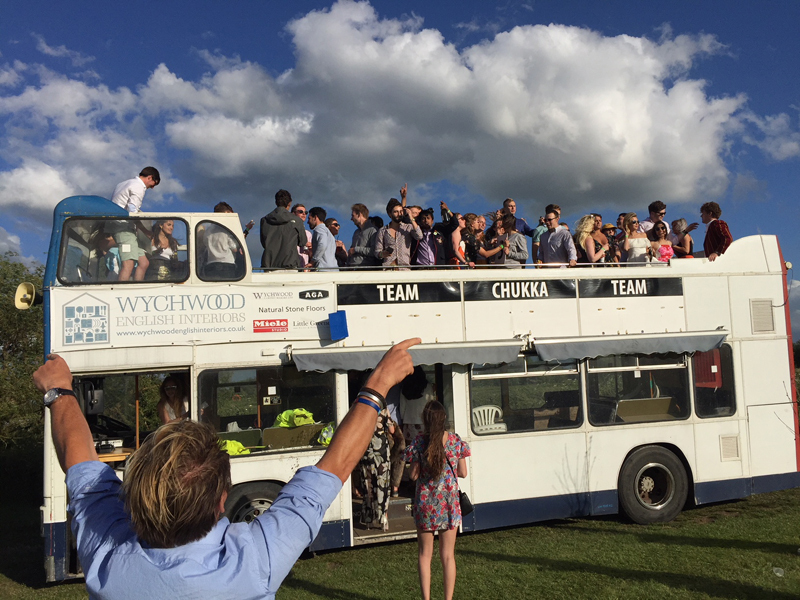 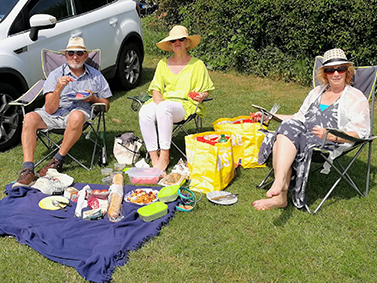 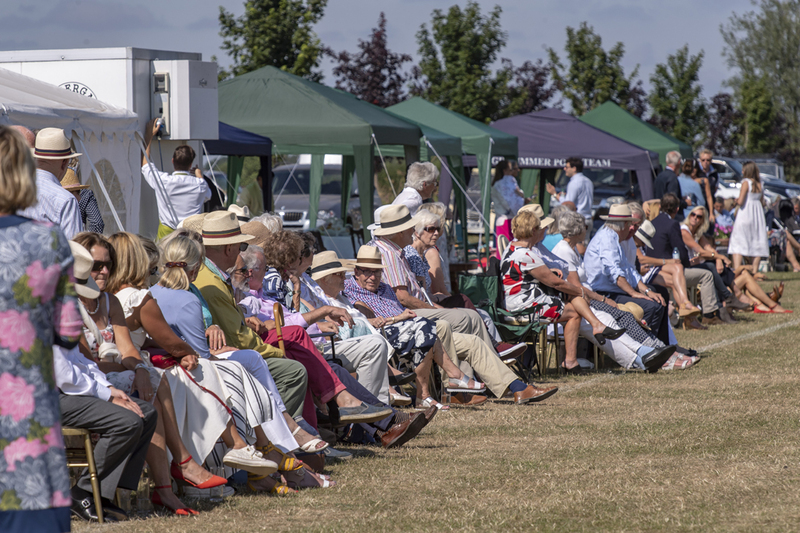 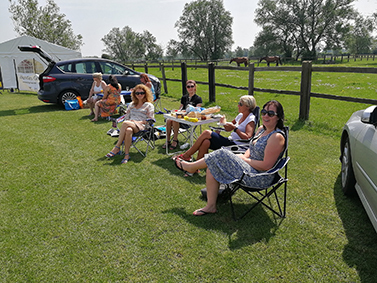 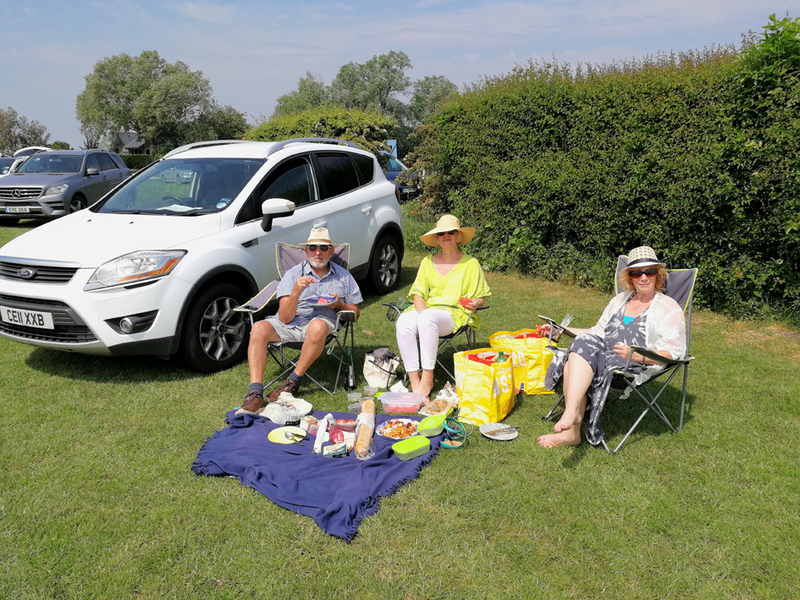 Our exciting Polo & Picnic Days allow our weekend polo tournaments to be enjoyed by a public audience, with a new pitch side bar set up for 2019. 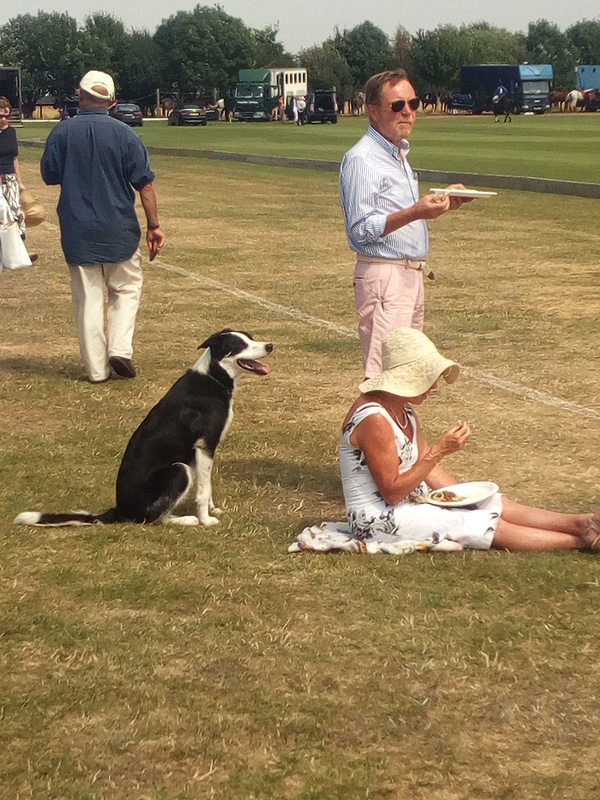 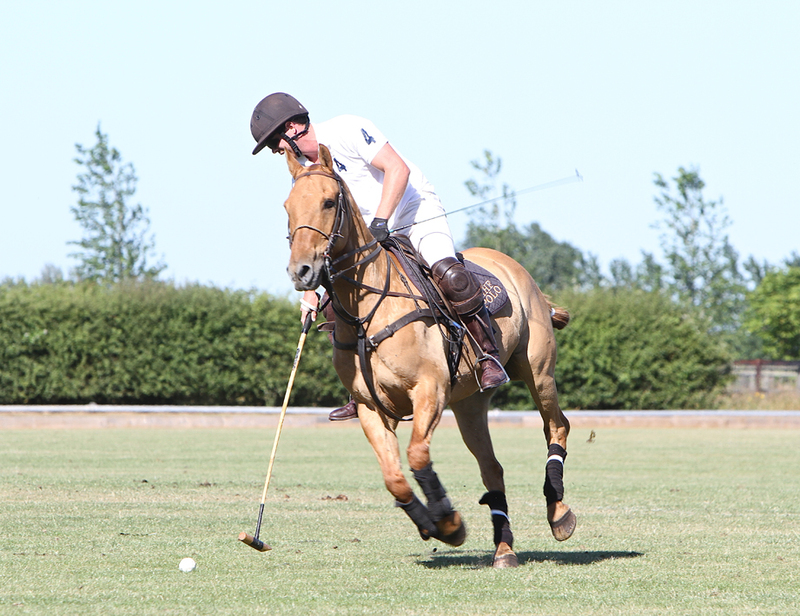 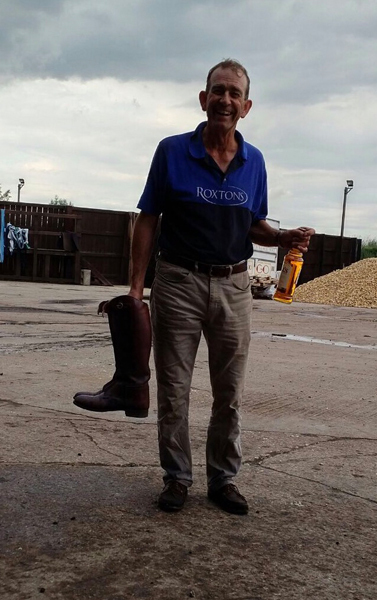 Cambridge County Polo Club, was established in 2008 by Ed Wright, a polo playing farmer. 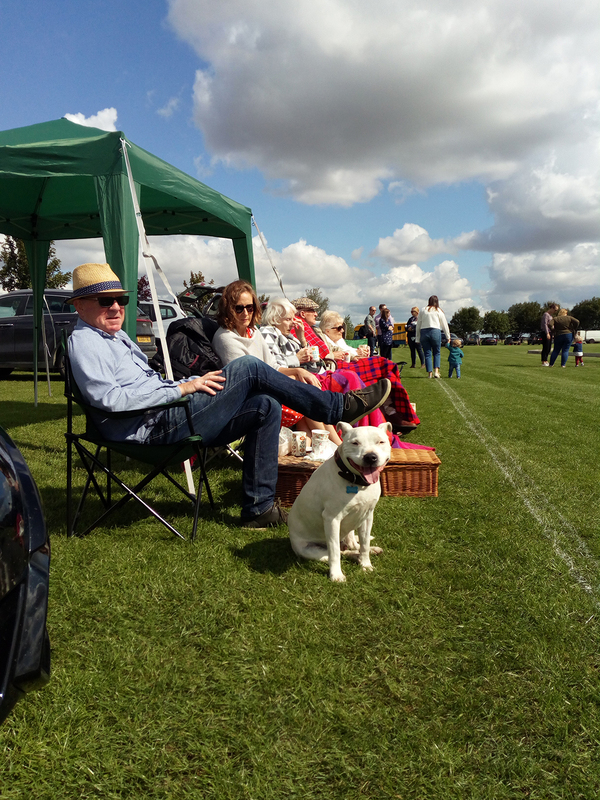 He decided to create a well organised, professional playing club in these outstanding grounds. 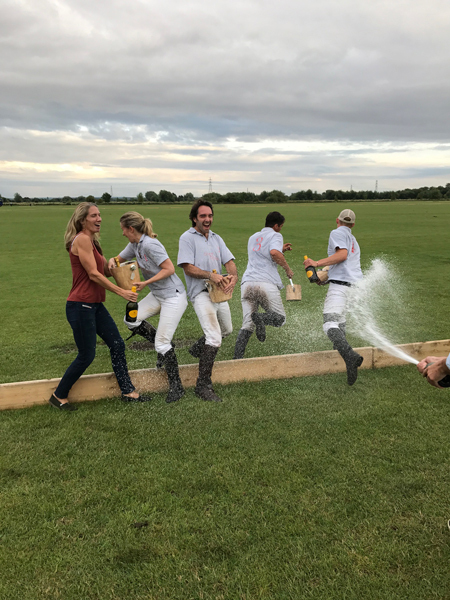 As a farmer he fully understands how to maintain the pitches to the highest level, the grade one soil cushions impact for the welfare of the polo pony’s limbs and joints. 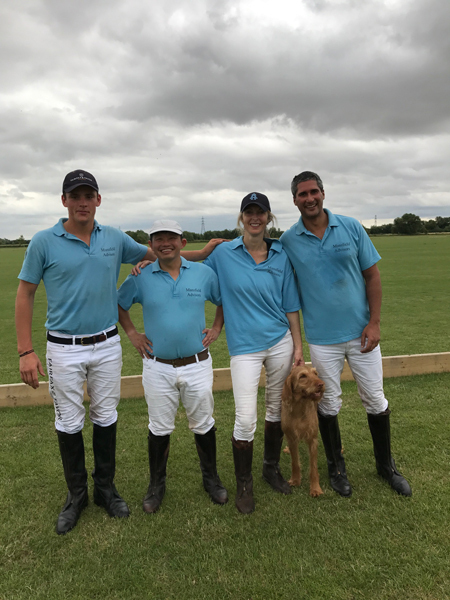 Ed enjoys encouraging new members to learn to play polo, in this fun, family orientated club, but warns the game can be addictive. 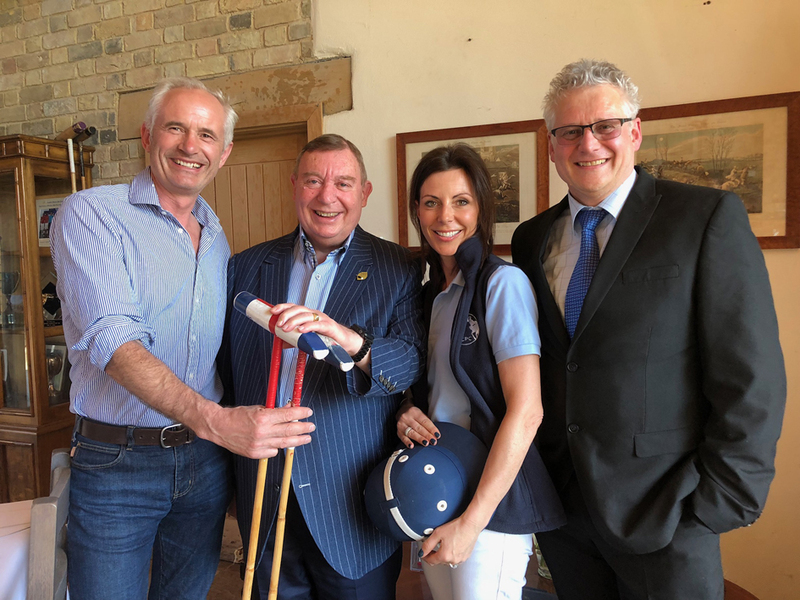 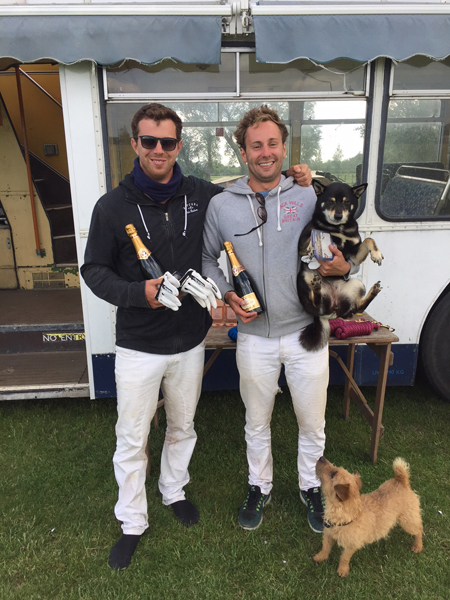 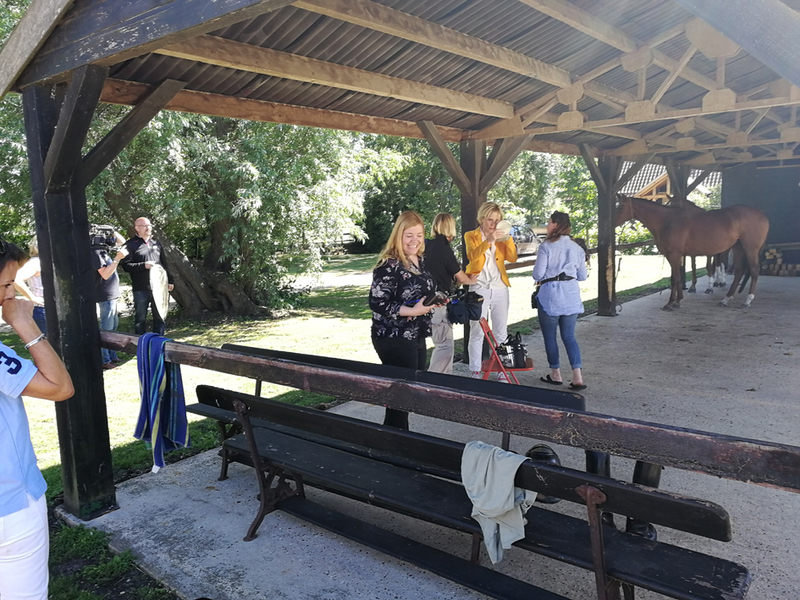 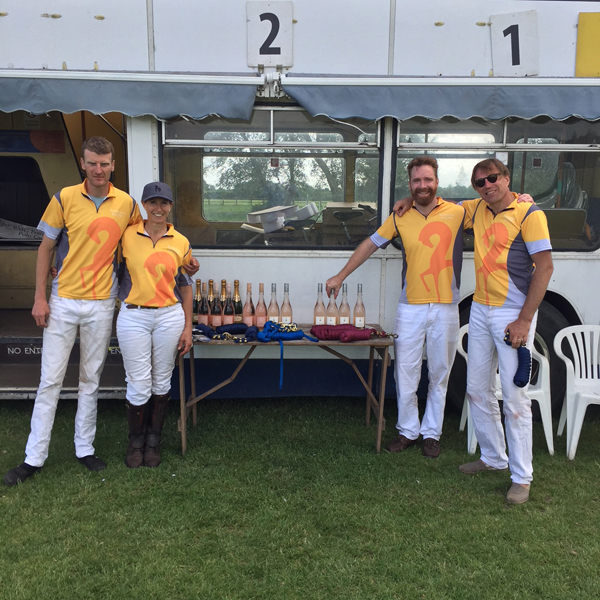 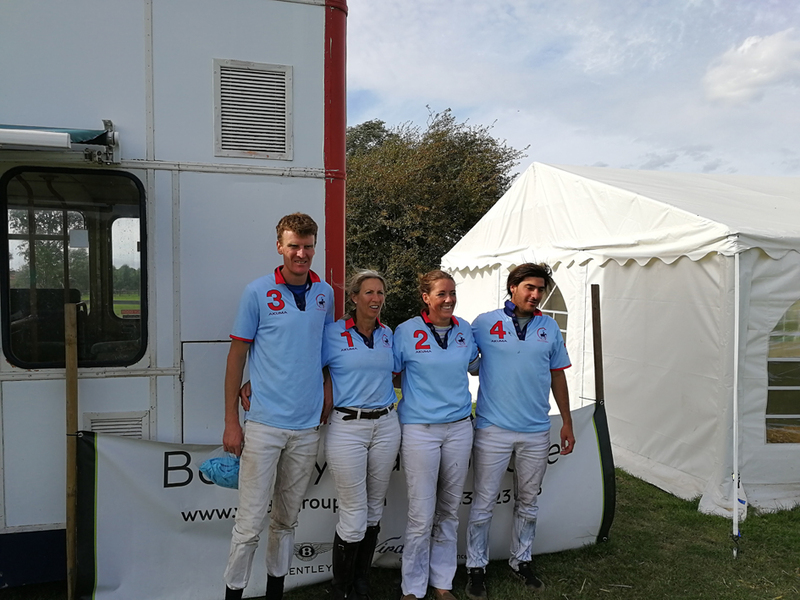 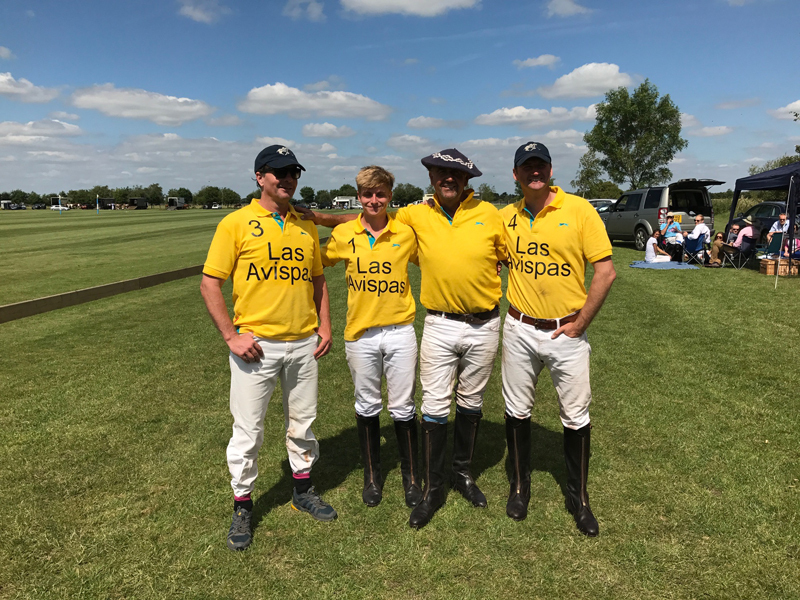 He and his partner Sarah jointly manage the club and in addition to the Polo and Picnic Days they will be hosting corporate events, in the grounds and The Punt Room, the stunning oak framed club house. 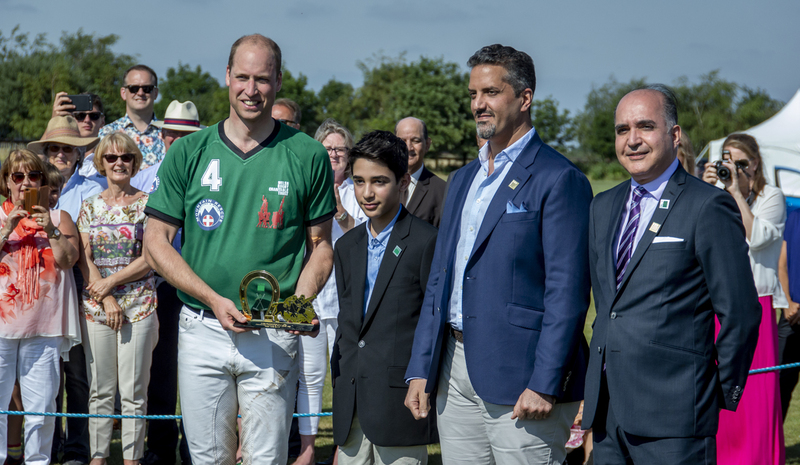 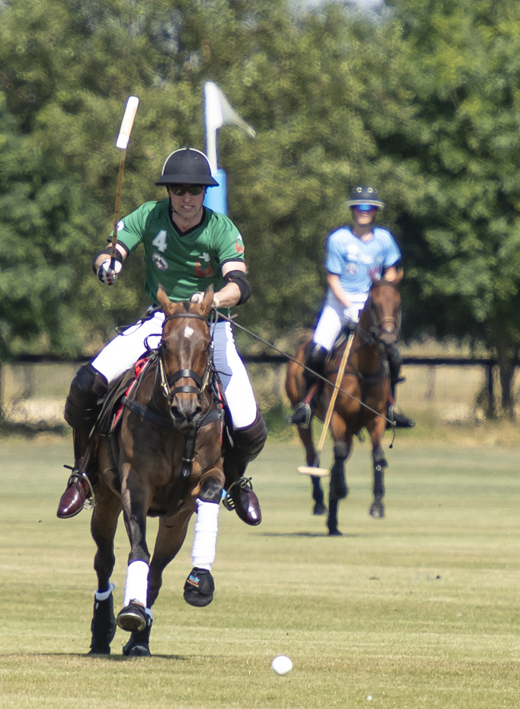 Cambridge County Polo Club is opening its doors this summer to host a series of prestigious Polo & Picnic Days. 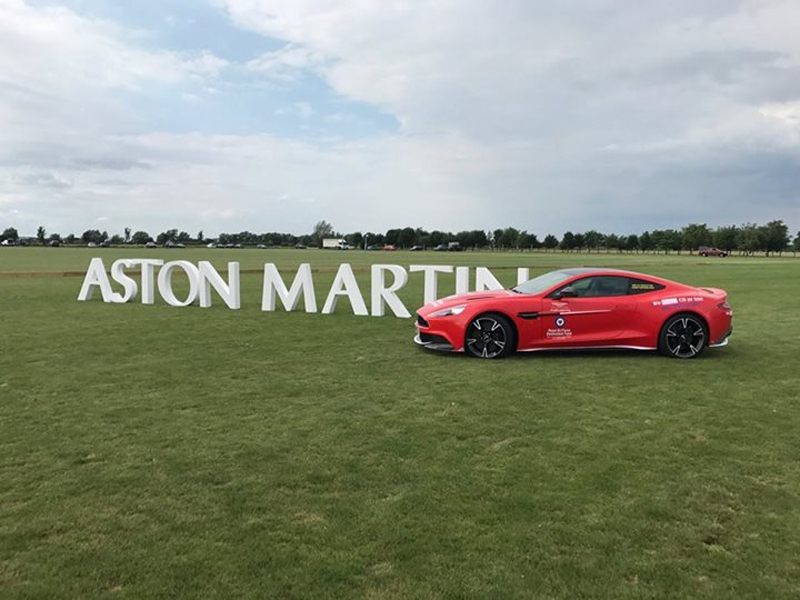 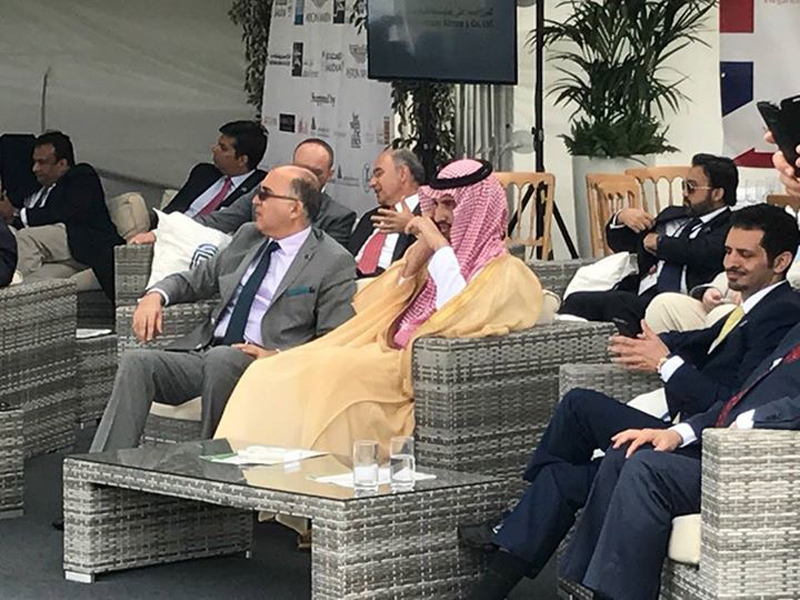 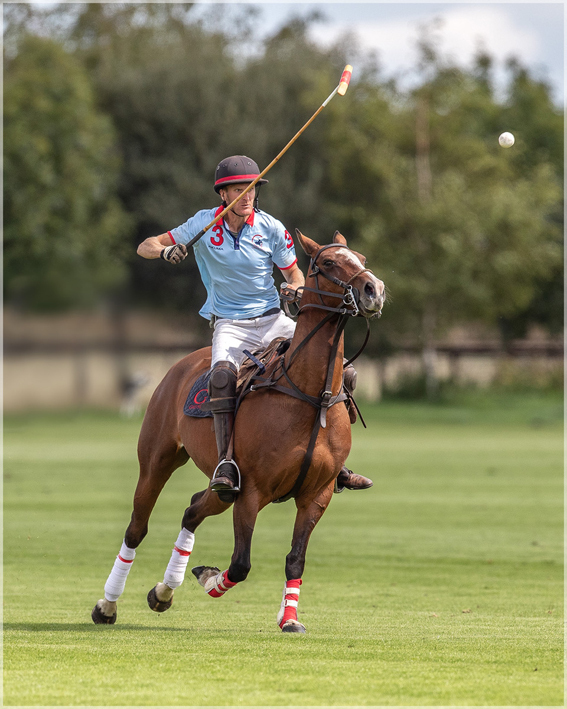 Polo is fast becoming one of the most popular equestrian spectator sports, and weekend visitors can now get up close and personal to this glamorous “Sport of Kings” during the summer tournament season. 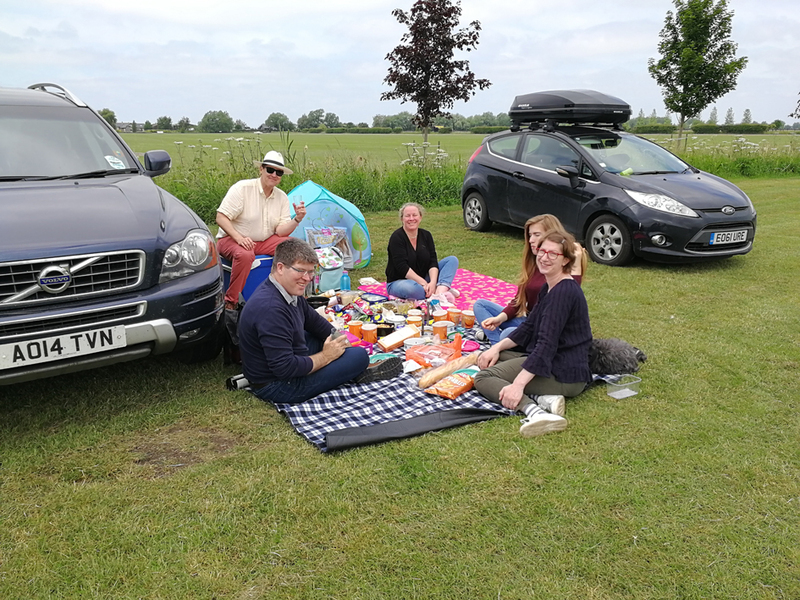 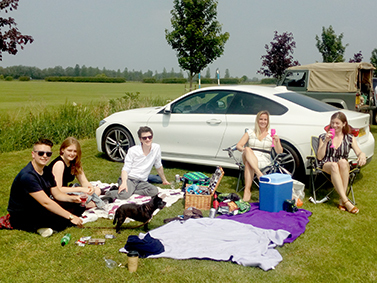 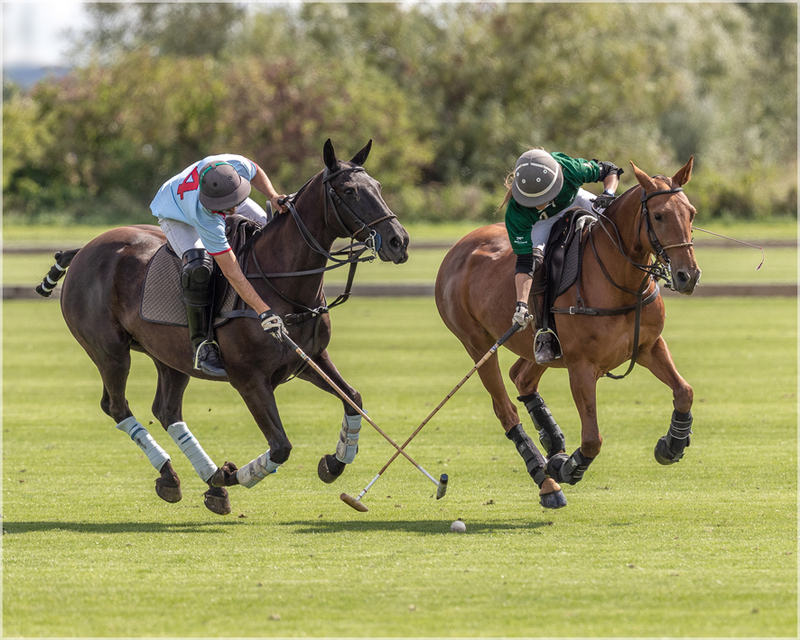 Park alongside the pristine polo pitches at Cambridge County Polo Club and enjoy a picnic whilst watching this exhilarating sport. 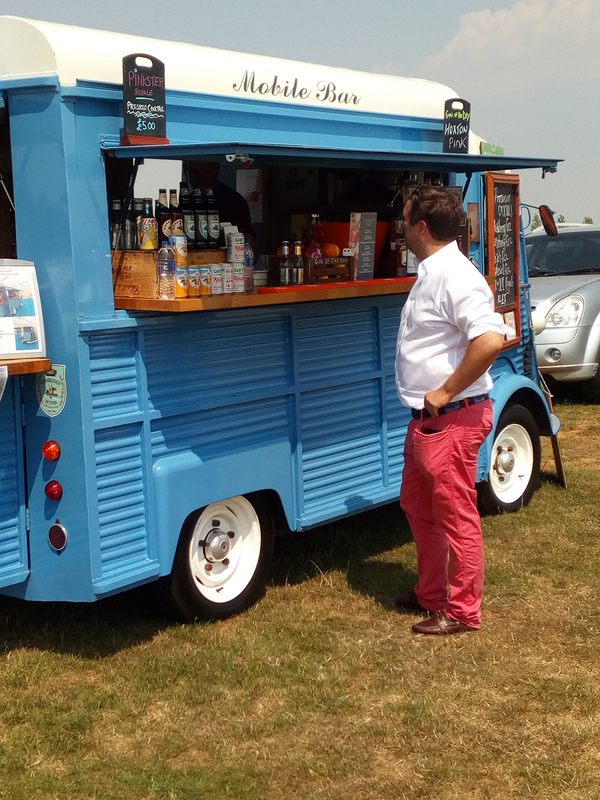 Selected food trucks will also be attending the events for those who prefer to buy something at the venue. 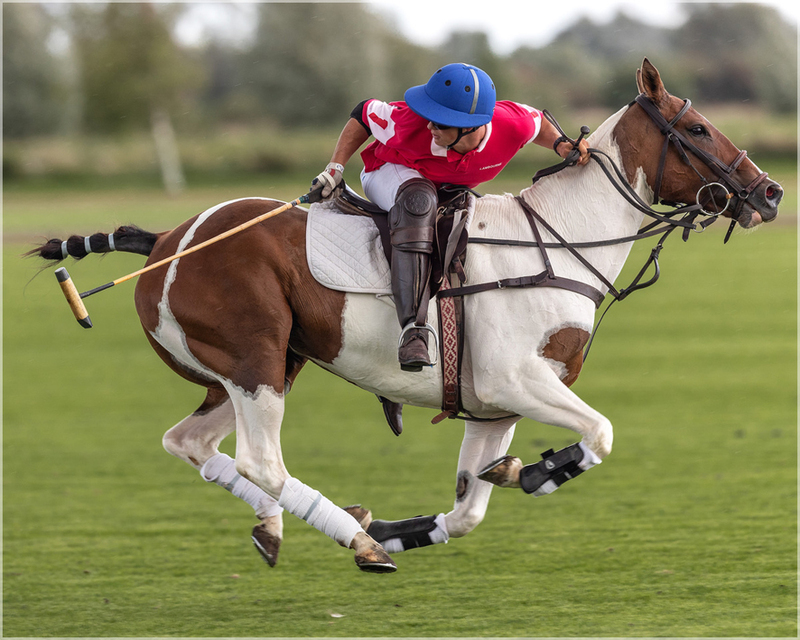 Get up close and personal to this exhilarating & glamorous “Sport of Kings”. 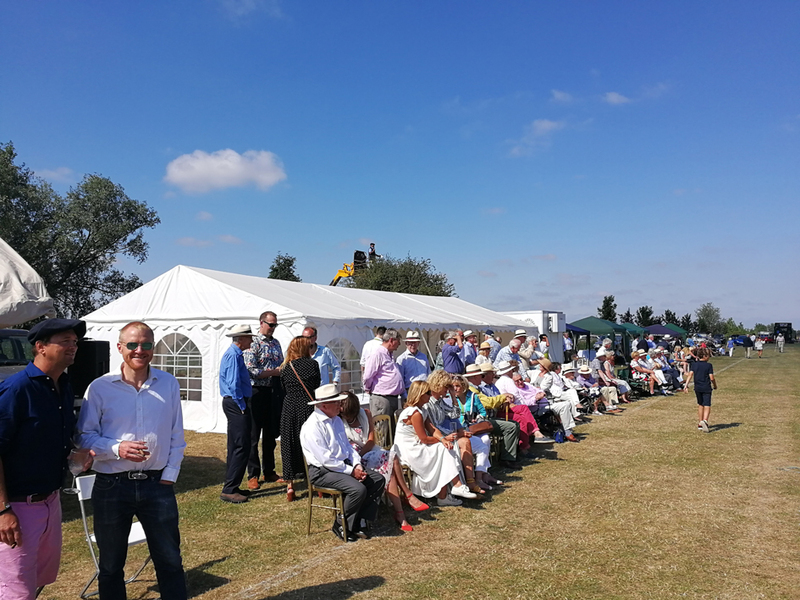 We can host bespoke events for 10 to 1000 people, either in The Punt Room, our oak framed club house, or in marquees overlooking our pristine polo pitches. 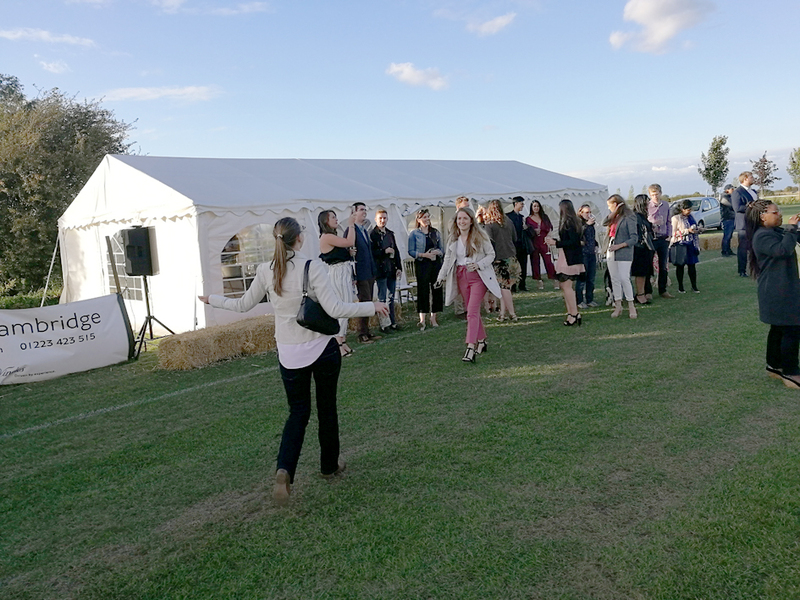 We offer an exciting location for weddings receptions, corporate hospitality, gala dinners, meetings and charity days and many other events, and we can arrange food, drink and music from excellent local companies. 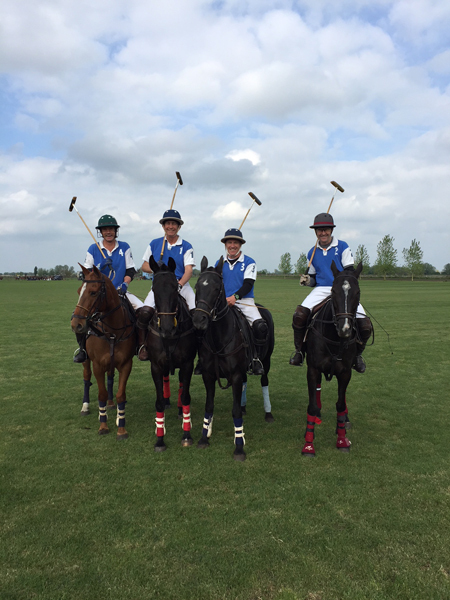 Cambridge County Polo Club is an innovative venue to hold a team building day. 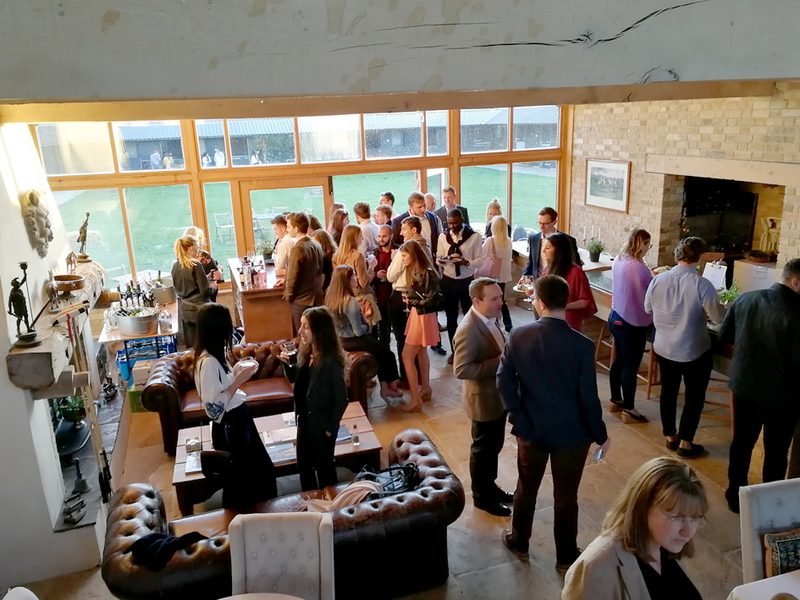 We can accommodate team building events for small businesses of 10 people to much larger corporate events. 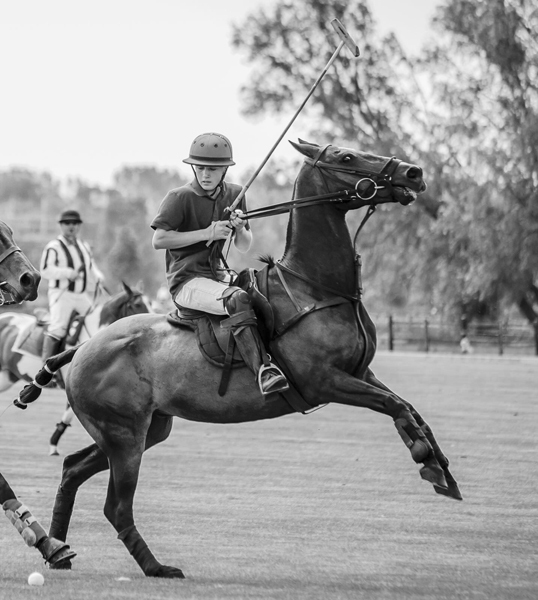 Polo is an exciting and exhilarating team sport. 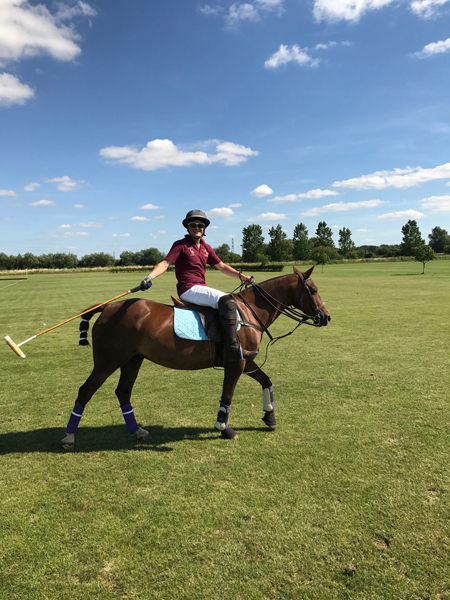 Playing polo or having a polo lesson as part of your team building day will encourage stronger team work between your staff in an enjoyable and memorable way. 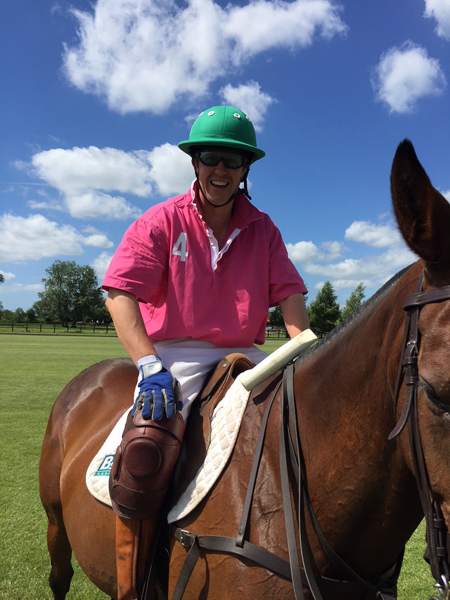 we provide expert group polo tuition and fun friendly matches. 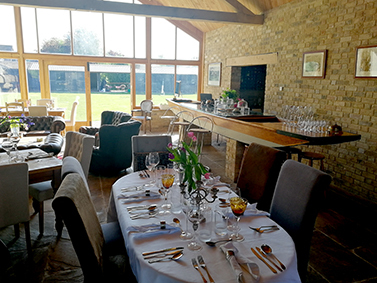 We can arrange a delicious informal lunch in the club house or picnics on the lawns outside. 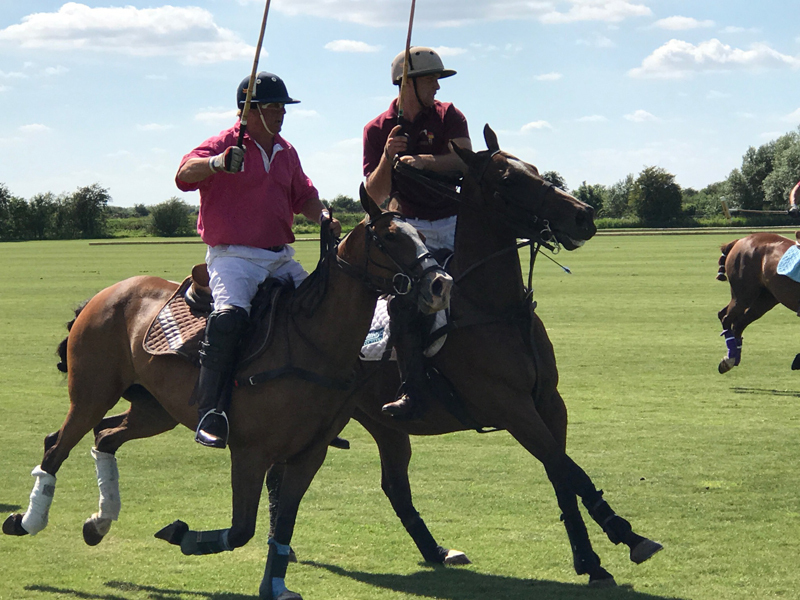 Cambridge County Polo Club is a wedding reception venue with a difference and we would love to make your day extra special. 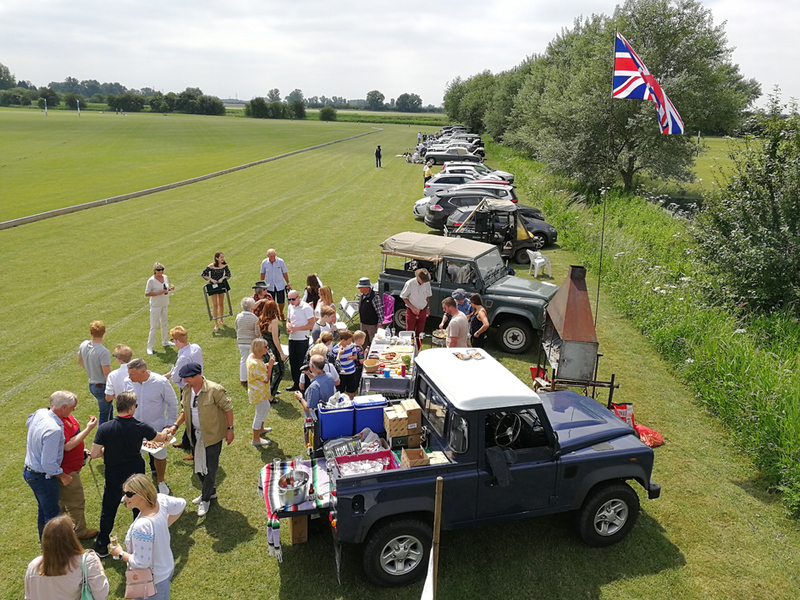 We are based in an idyllic rural setting on the edge of the village of Lode, between Cambridge and Newmarket, set in 220 acres of farmland. 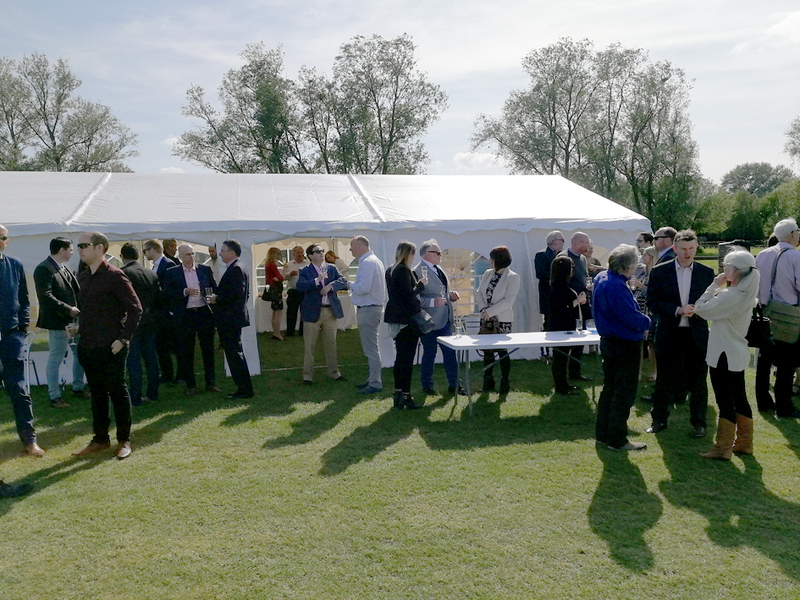 You can hold your reception in a marquee overlooking our immaculate polo pitches, or for smaller wedding parties The Punt Room club house is ideal. 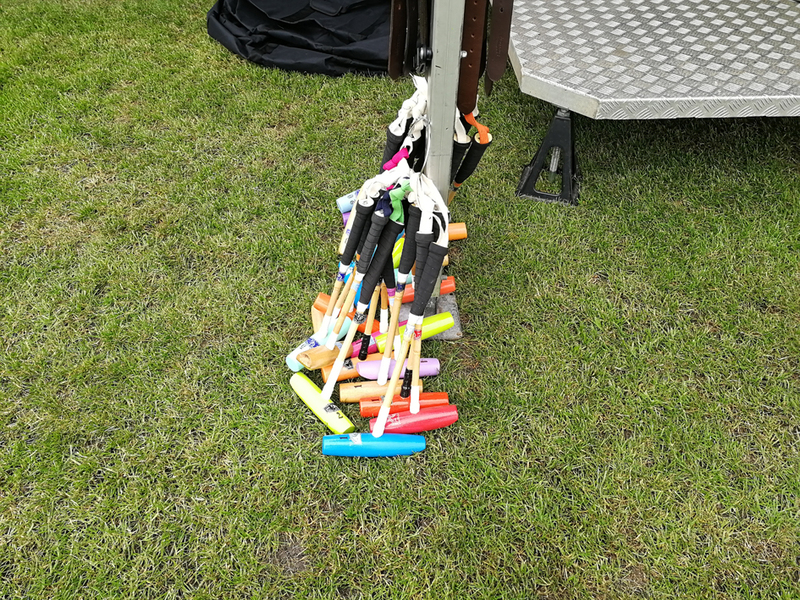 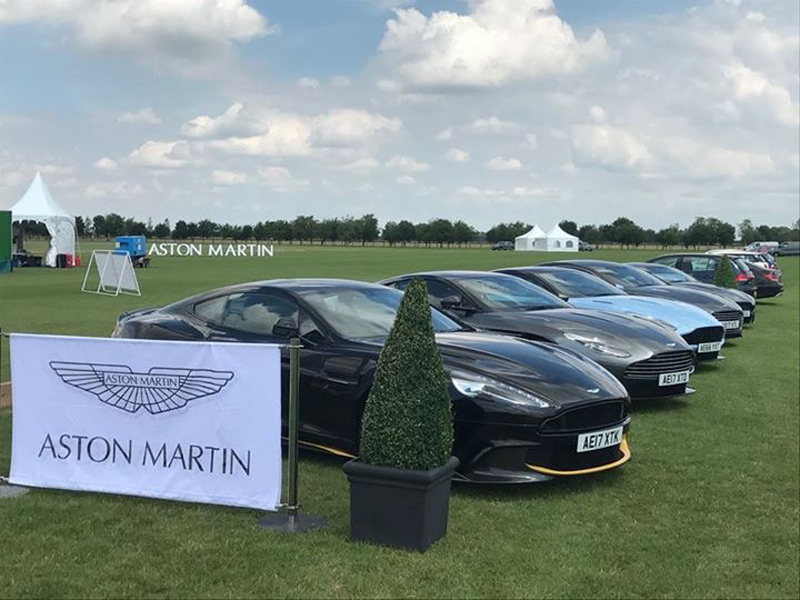 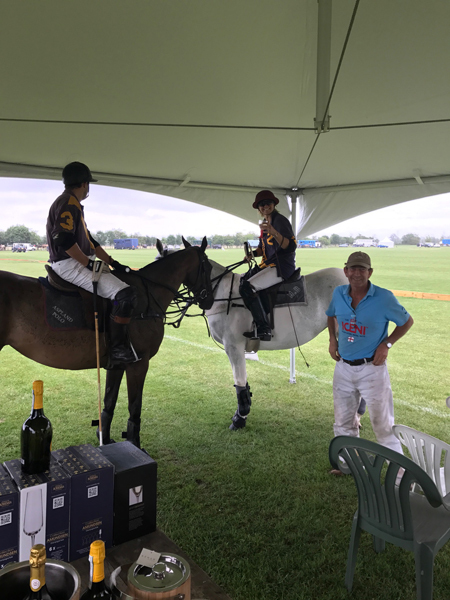 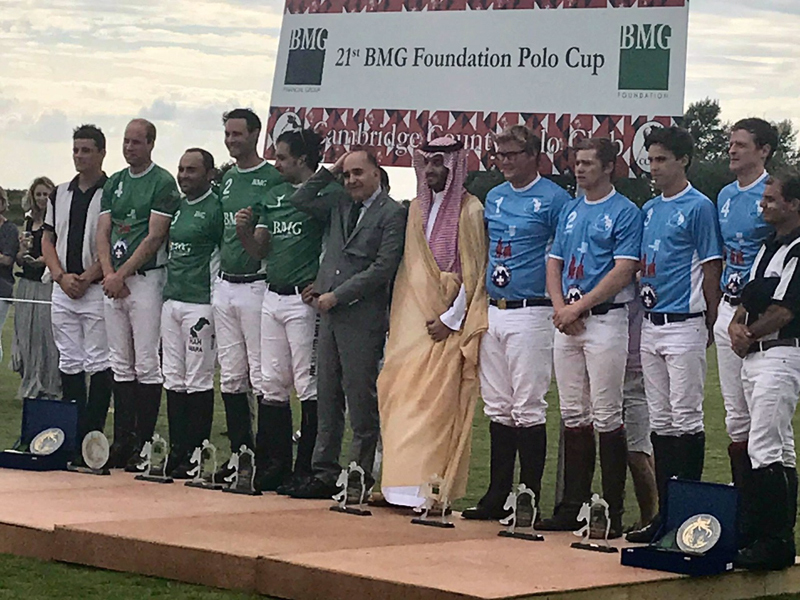 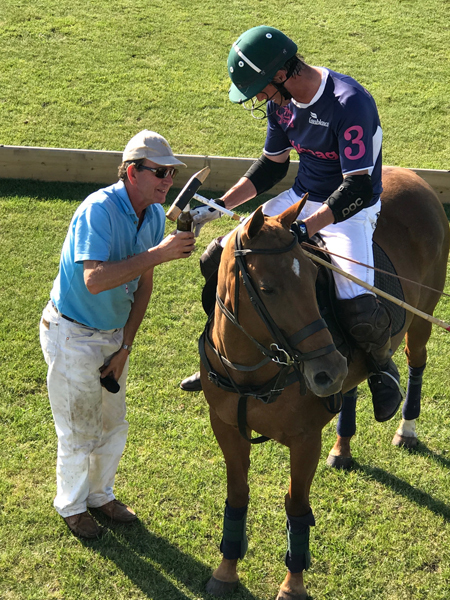 If you want to add a little extra fun we can put on an exhibition polo match which your guests can watch from the marquee on the polo ground. 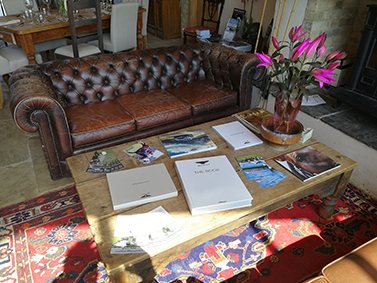 Rooms are available for bridal preparations and we can recommend local accommodation for your guests. 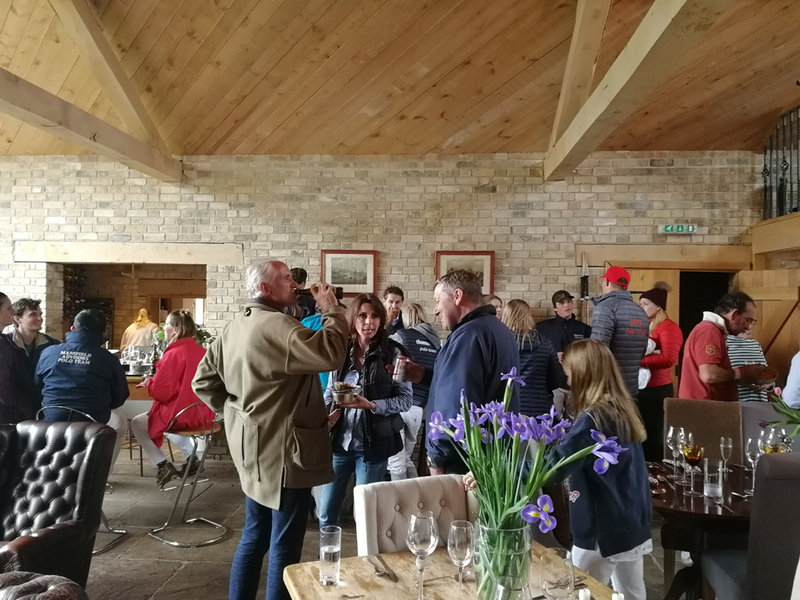 We can arrange our own Argentinian Asado Barbecue or recommend excellent catering by local companies, drink and music, just let us know your ideas and we’ll make sure it’s the perfect celebration. 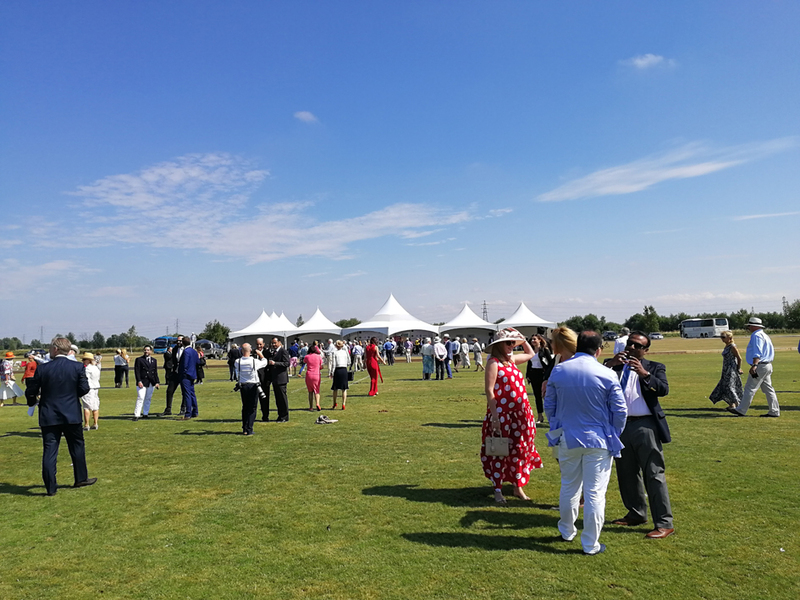 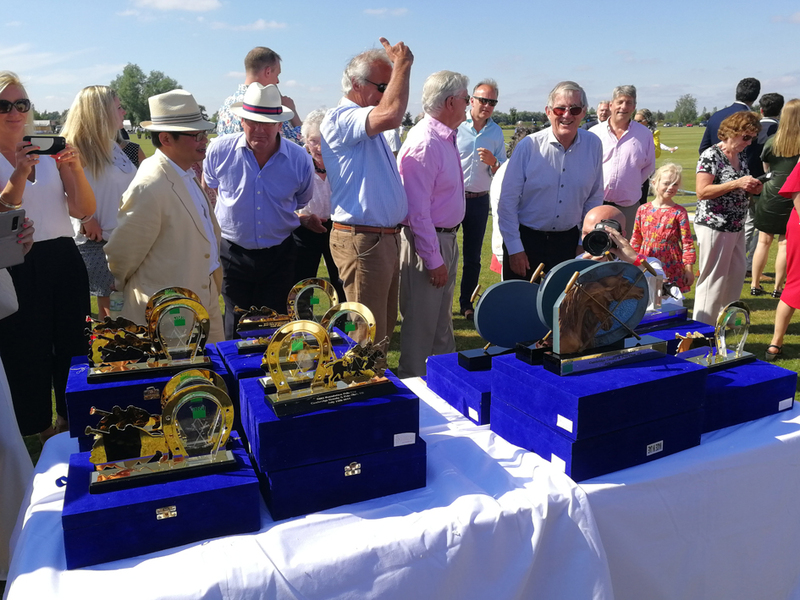 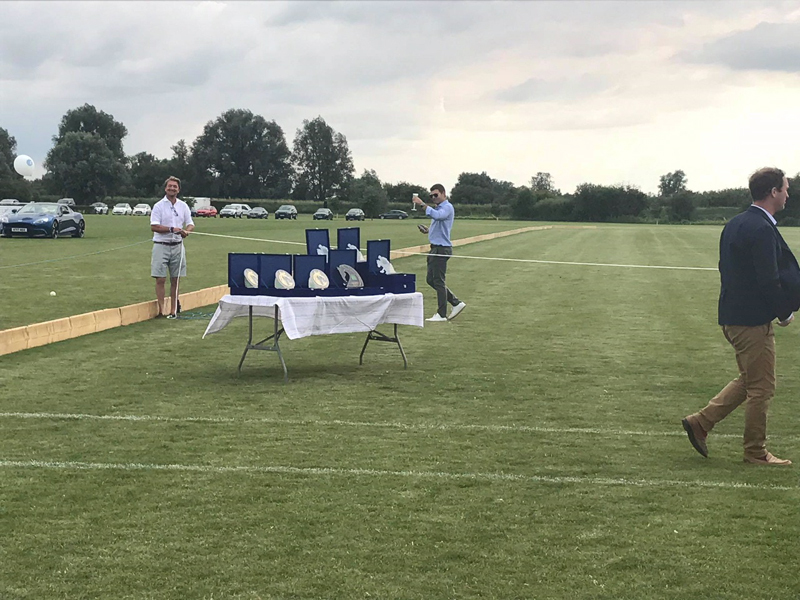 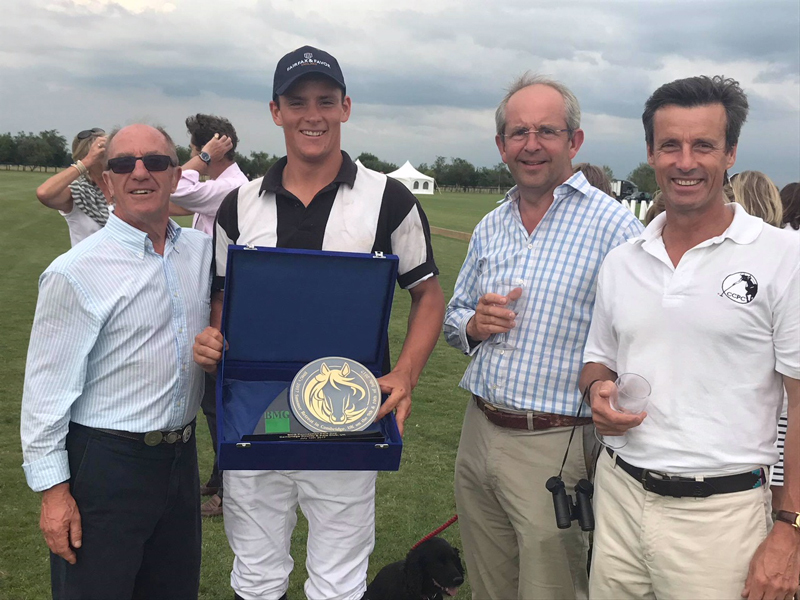 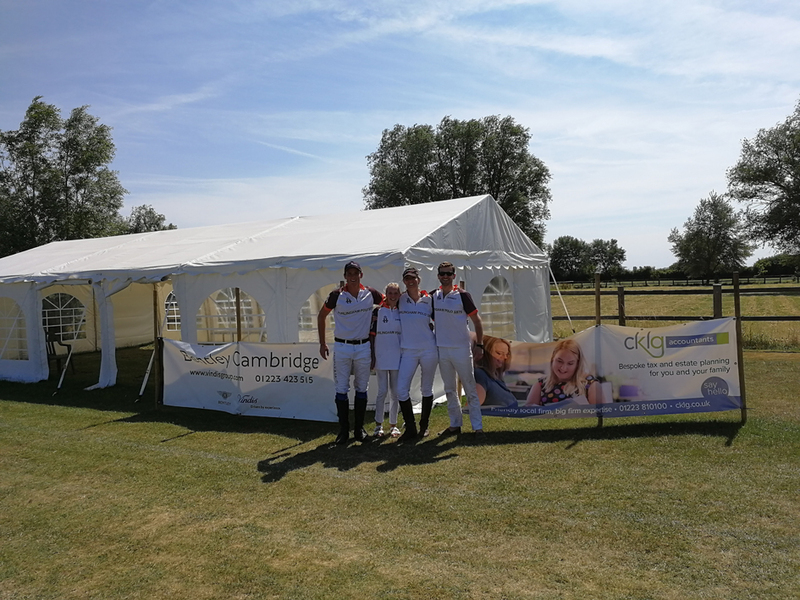 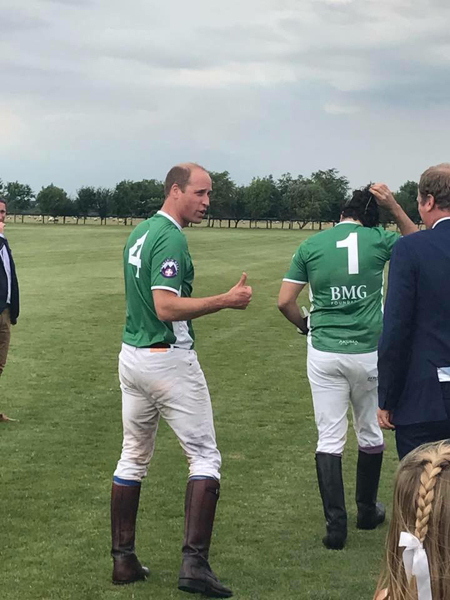 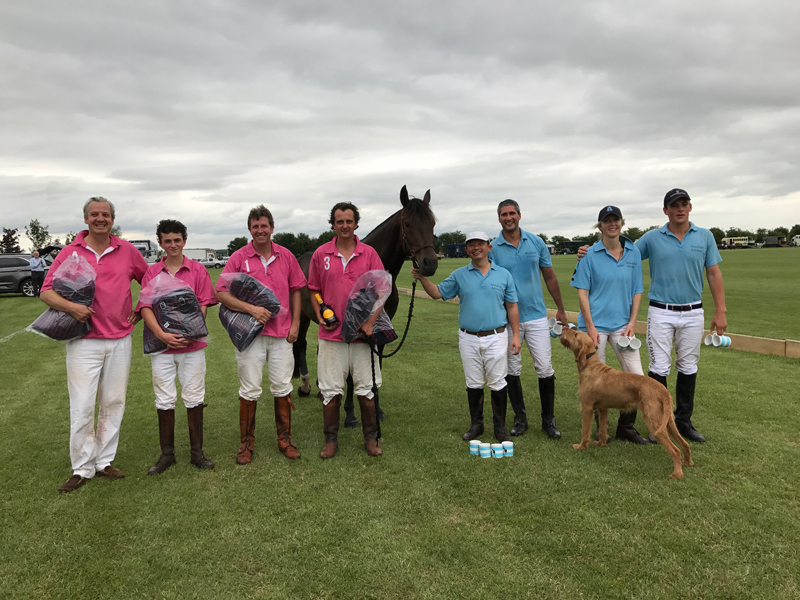 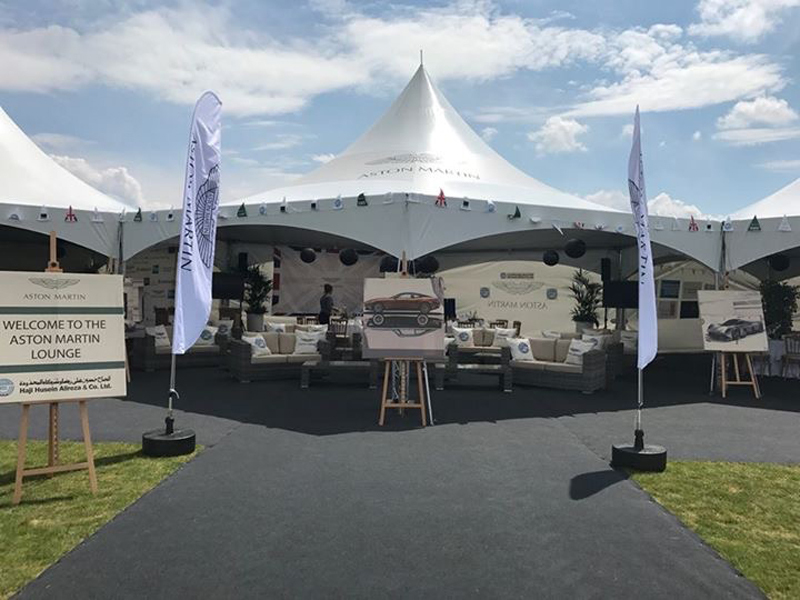 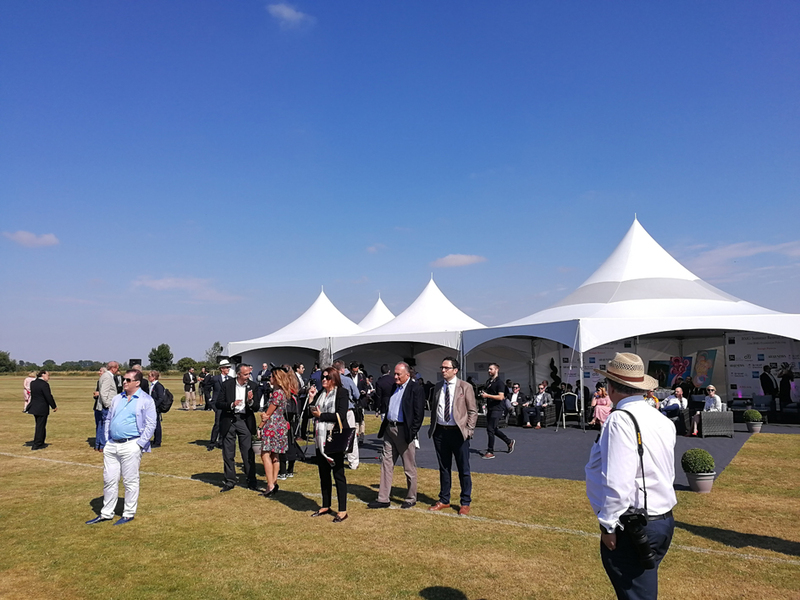 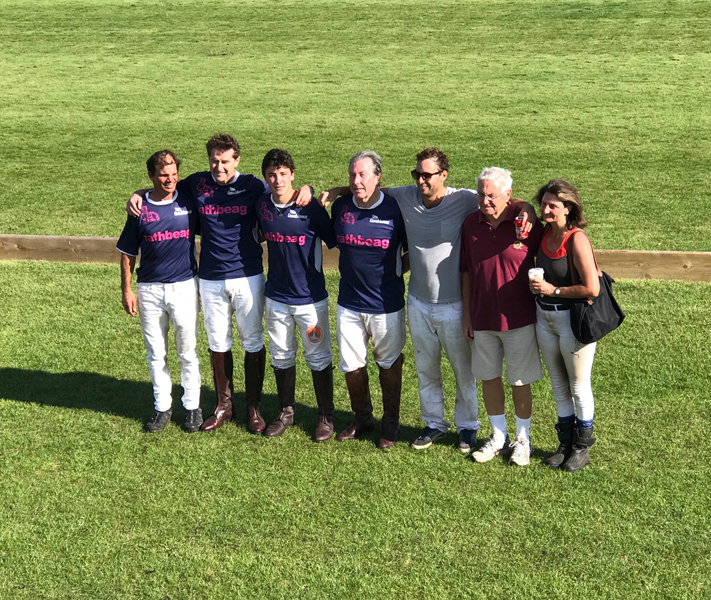 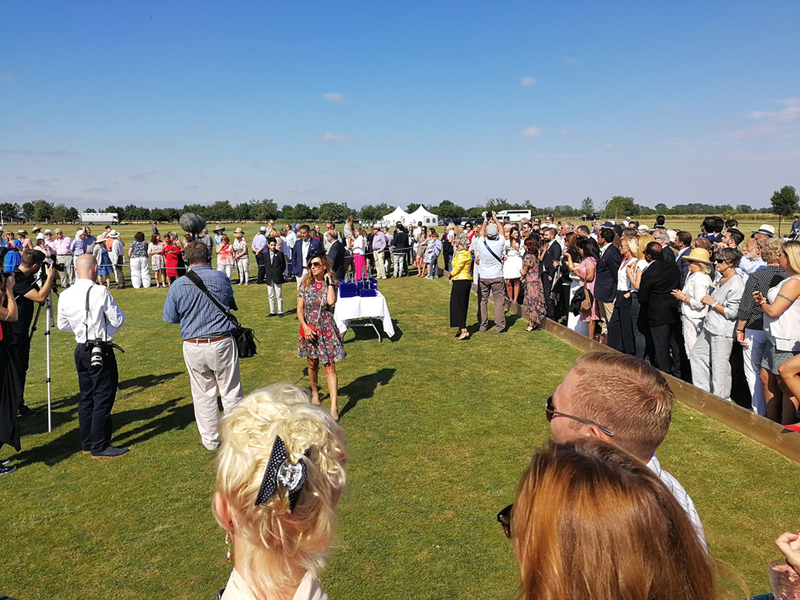 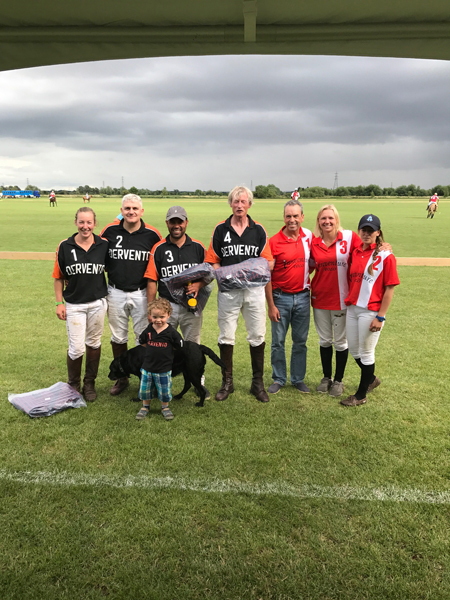 Cambridge County Polo Club is a great location for a celebration, from an intimate birthday party in The Punt Room clubhouse to a large corporate works party in a branded marquee with an exhibition polo match. 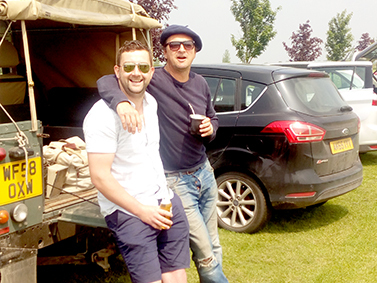 We can provide local bands or DJs and you don’t have to worry about the music keeping the neighbours awake! 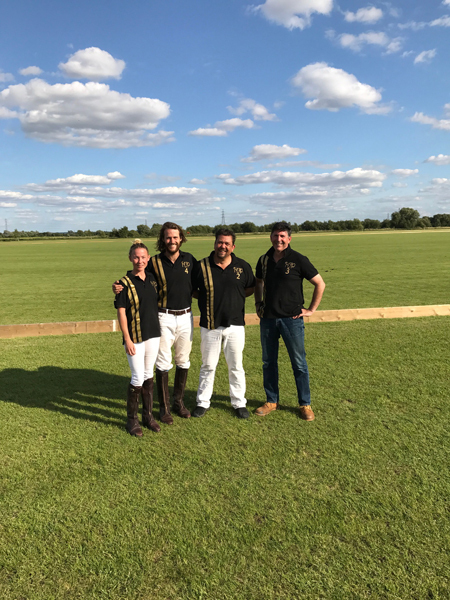 Cambridge County Polo Club has polo being played all year round and has lots to offer ranging from Polo Livery to Happy Hackers livery. 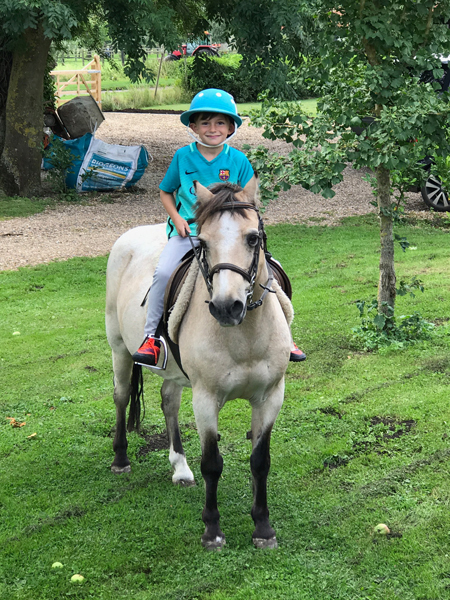 Ideally situated between Cambridge and Newmarket yet nestled in a very quiet secret setting surrounded by hundreds of acres of owned grassland, perfect for hackers seeking safe off road riding. 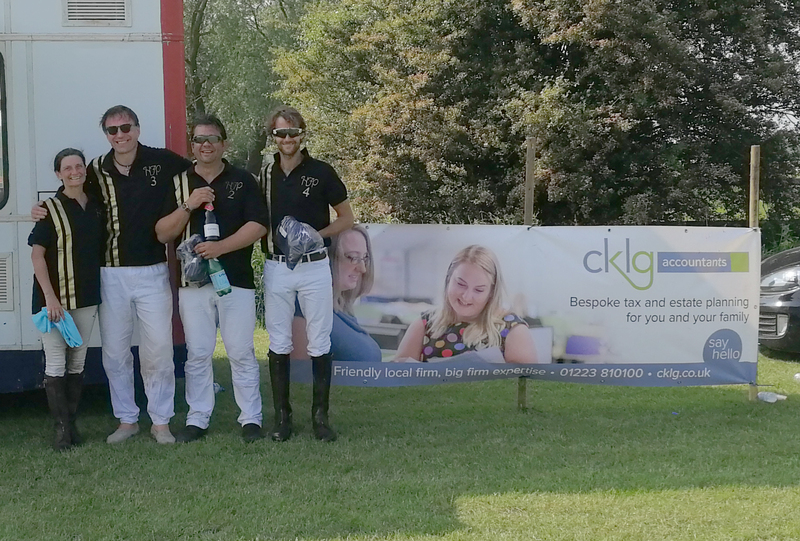 The equine business has had a steady influence here at CCPC encouraging a complete diversification from farming. 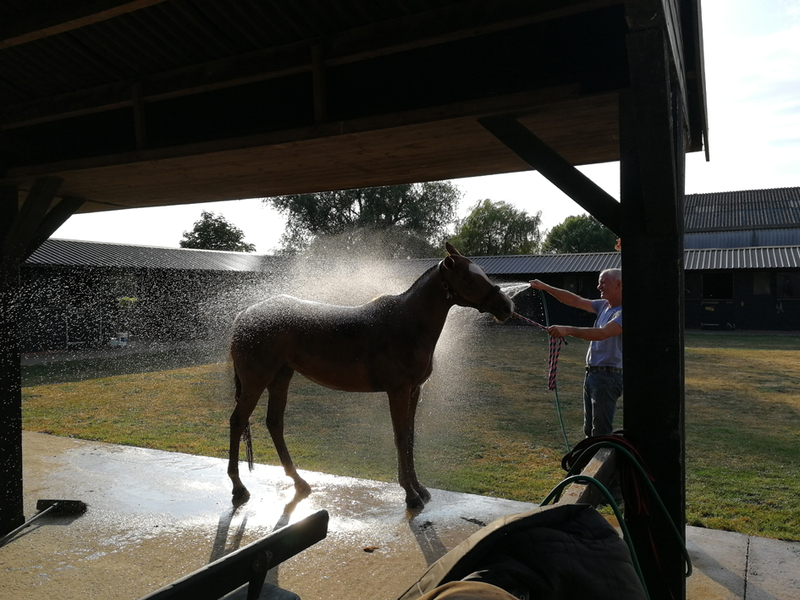 The livery stables have expanded over the last twelve years so if you require Livery Yards Cambridgeshire based, we are the perfect home for your horse. 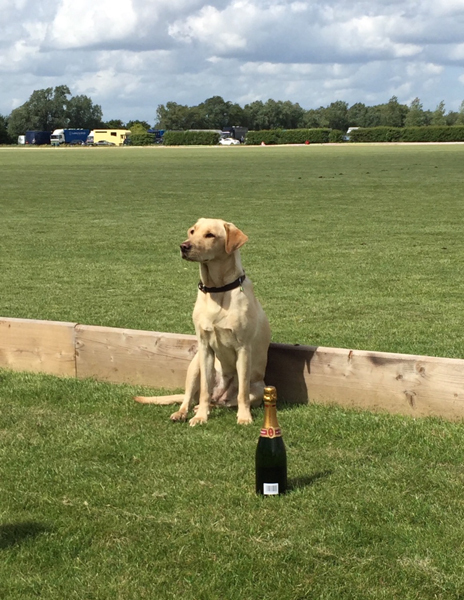 We offer top-end stables, holiday cottages, fishing and the Polo Centre with the following facilities. Arena polo is played from September through to May for the enthusiasts that like to play all year. 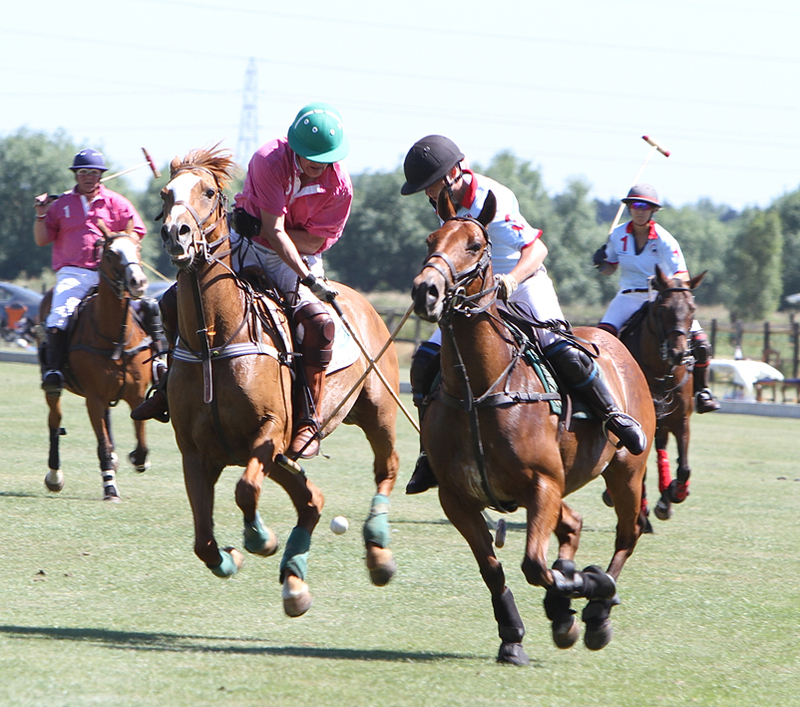 Chukkas are mainly played at weekends and are charged at £10 per chukka. 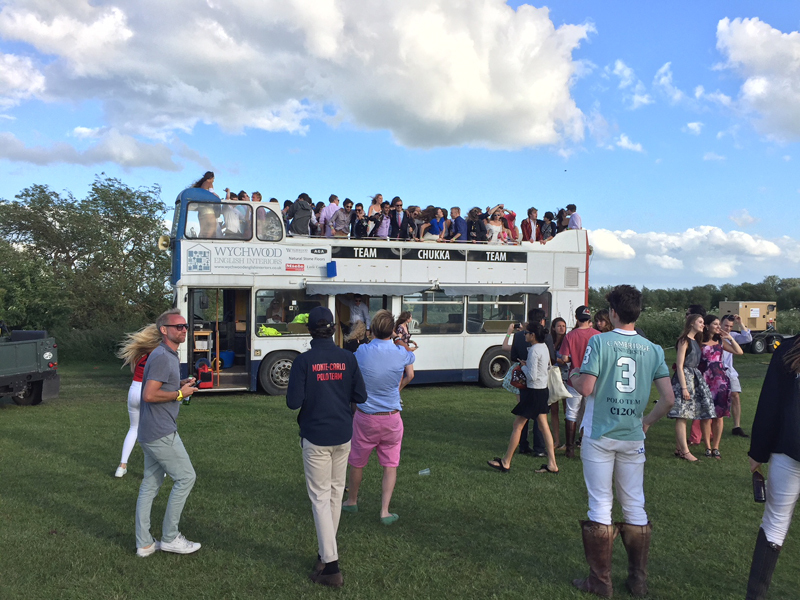 Pony hire on top is available as like the summer season. 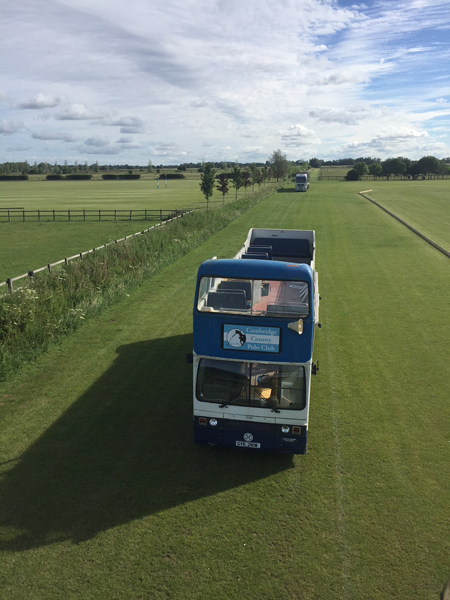 Need Livery Yards in Cambridgeshire? 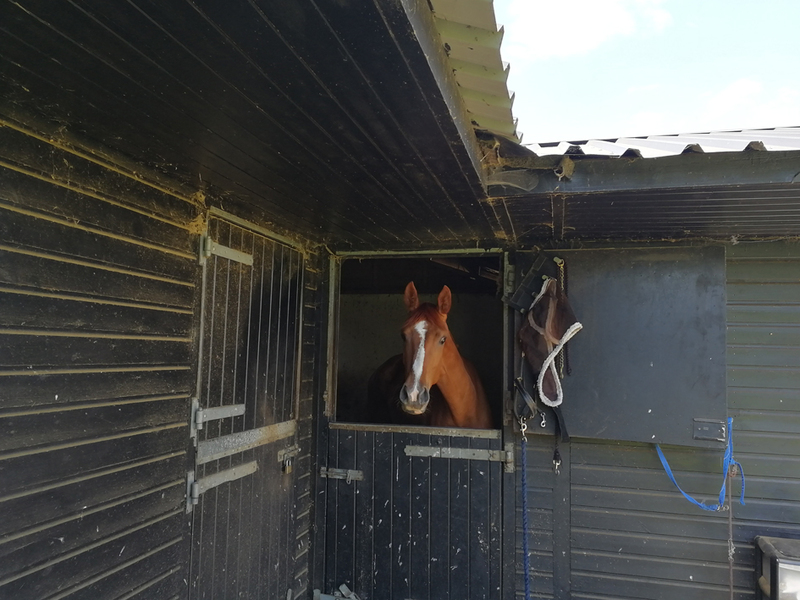 We currently have stabling for 40 horses with over 80 acres of turnout. 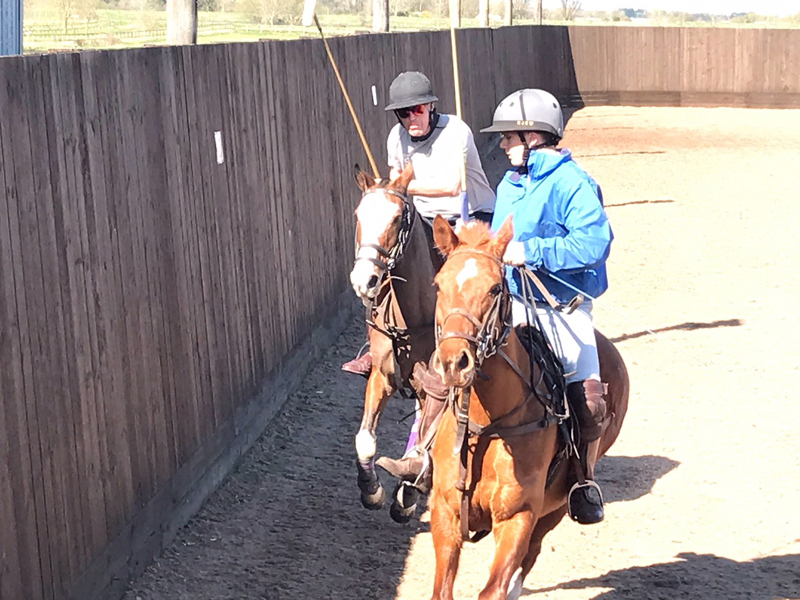 Liveries have the use of the arenas, one 25x40 metres all weather fibre sand/rubber and one 90x40 metre purpose built polo arena both flood lit. 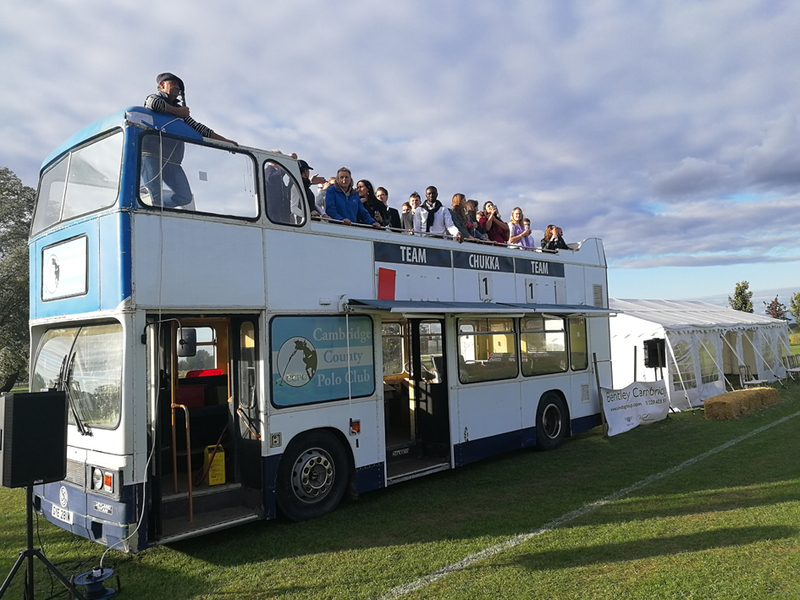 Also liveries have free use of indoor wash down area, tack rooms, communal kitchen, showers and toilets (one disabled) and beautiful social hall with open fire. 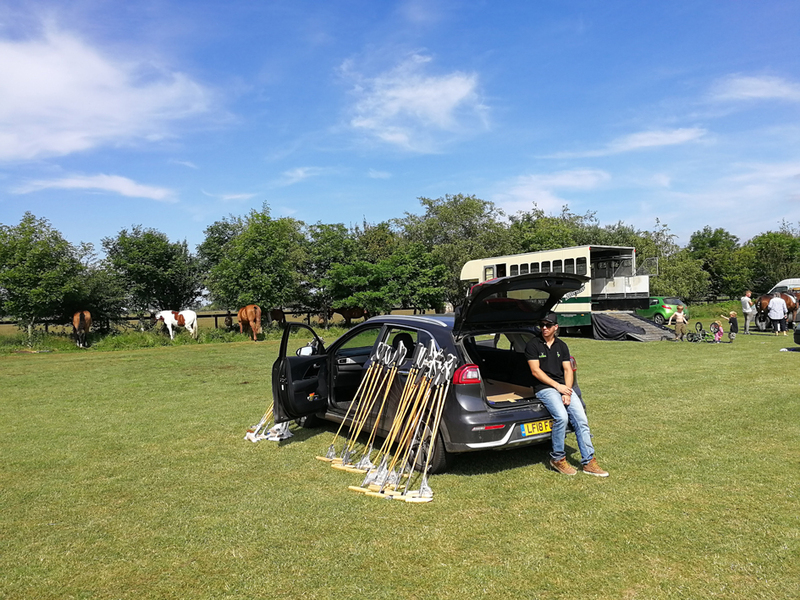 For POA prices please contact us. 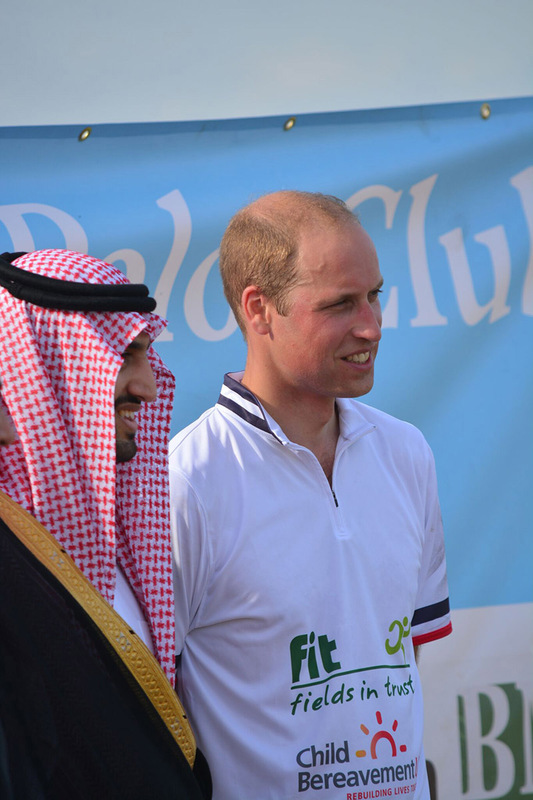 Facilities are provided for storage of bedding and feeds. 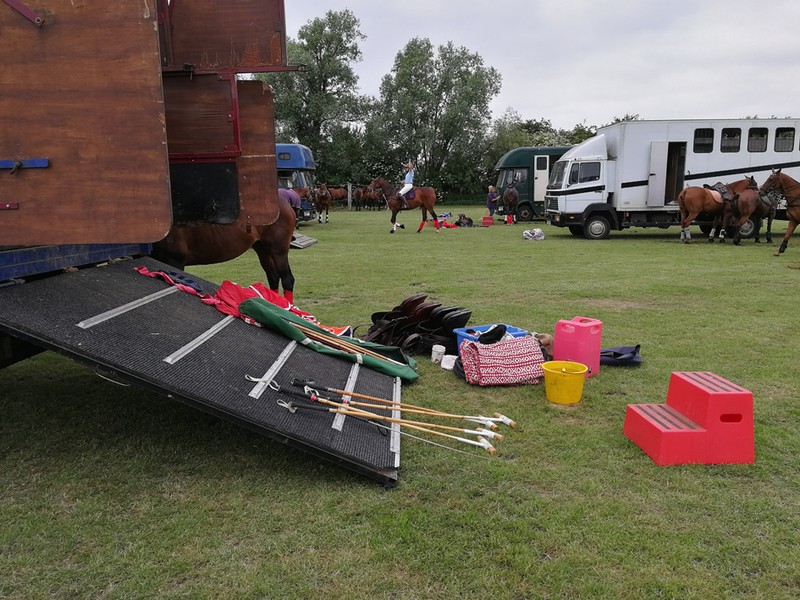 Hay and shavings can all be purchased on site if requested. 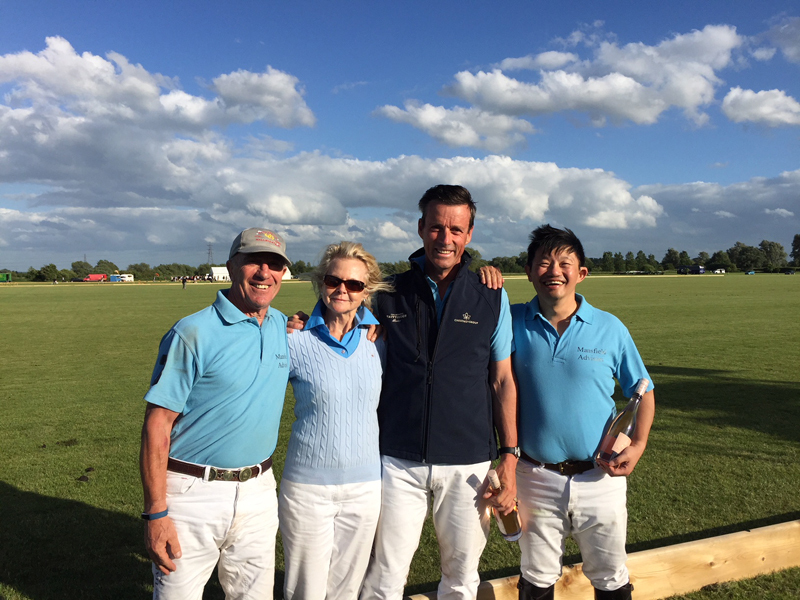 If you are a beginner or require a refresher lesson CCPC club can meet your needs. 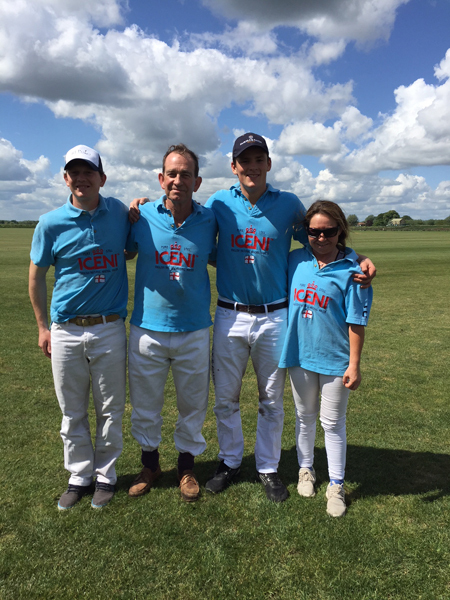 We have a fully HPA qualified polo instructors in Fabio Lavinia and Francis Molyneux. 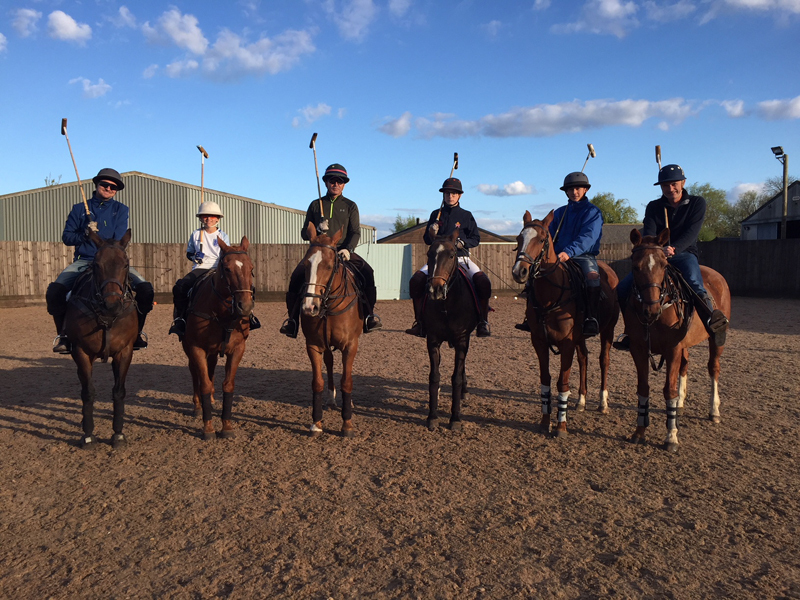 Lessons are tailored to the individual and start from £90/hr including pony, tack and equipment. 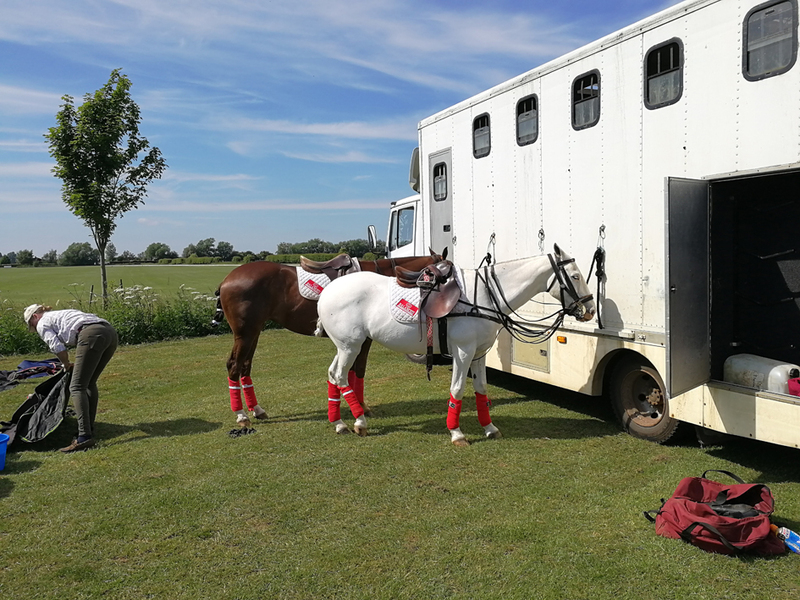 Ponies can be hired for chukkas or tournament weekends on a first come basis. 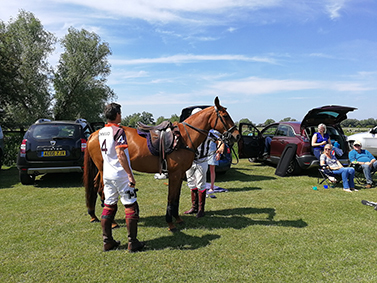 Ponies can be provided or if you have a non-flappable pony you can bring it along, you'll be surprised how much they adapt and enjoy the game. 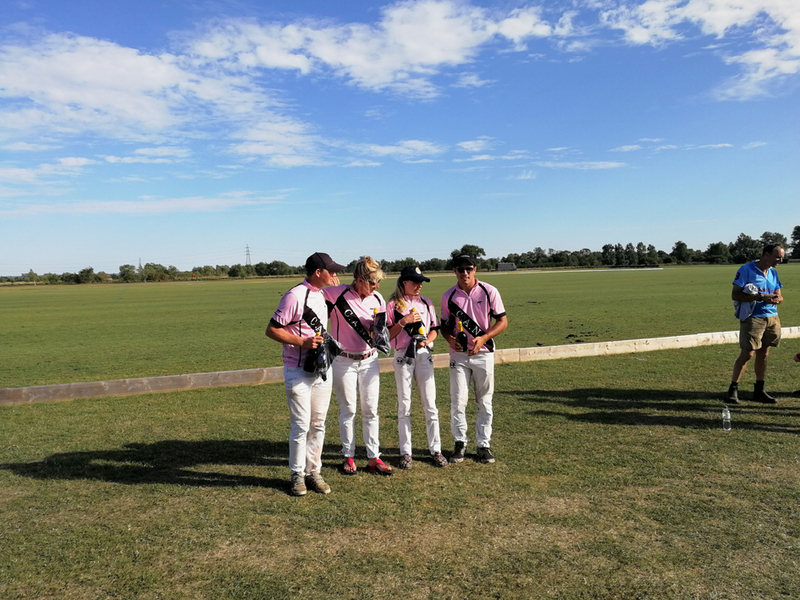 If you are a beginner or require a refresher Lesson CCPC club can meet your needs. 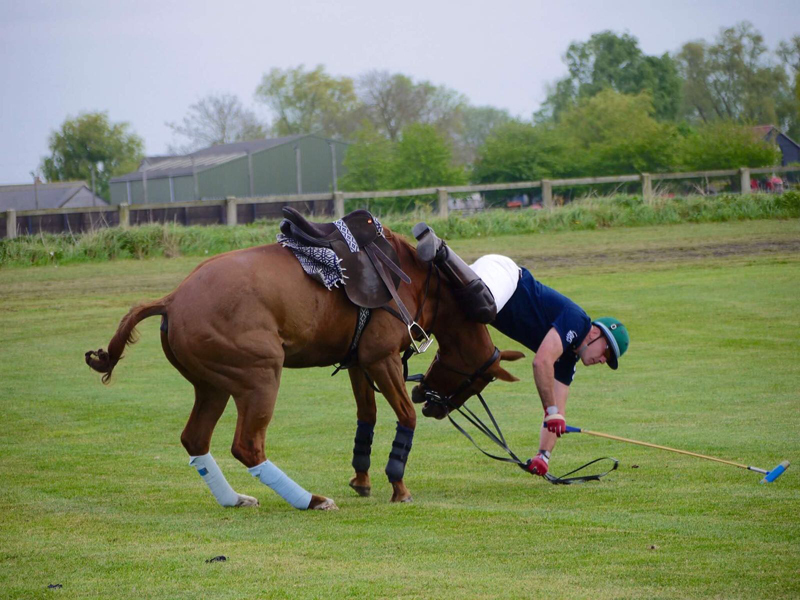 We have a fully qualified polo instructor. 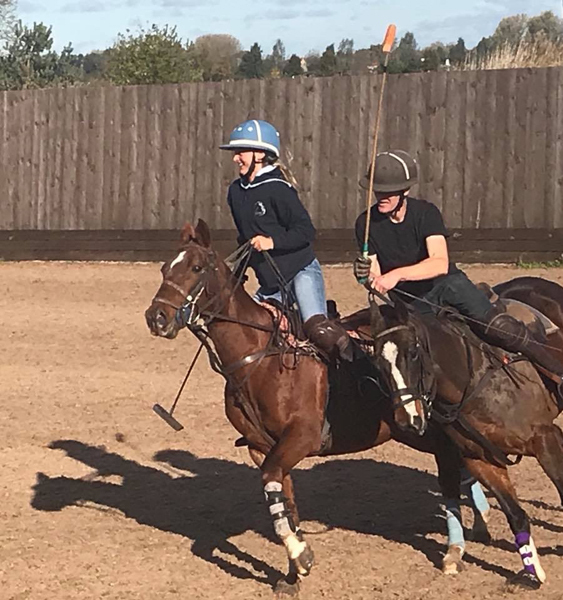 Lessons are tailored to the individual and start from £90/hr including pony tack and equipment. 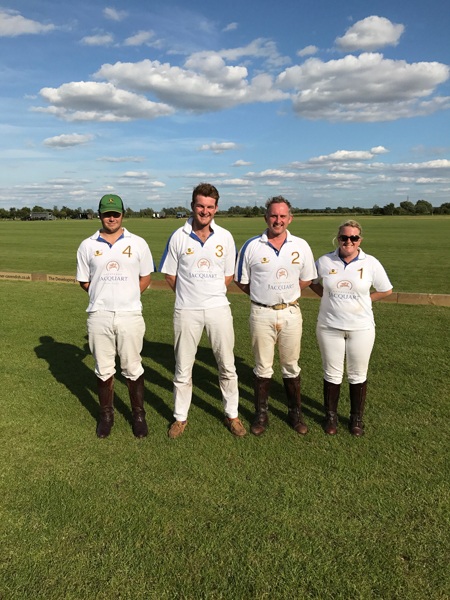 Cambridge County Polo Club runs chukkas on Wednesday evenings starting with a 6pm slot and then a 7pm slot. 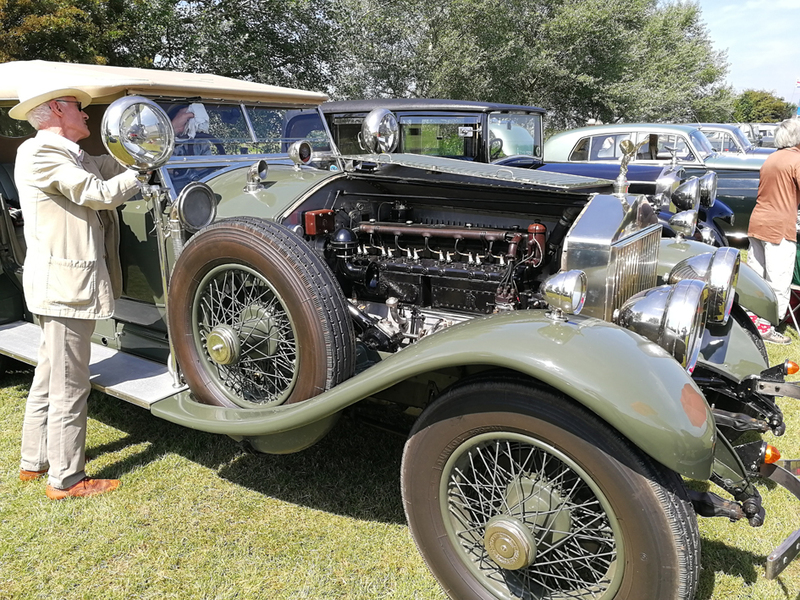 Abilities are taken into consideration as we have members requiring different standards/speeds. 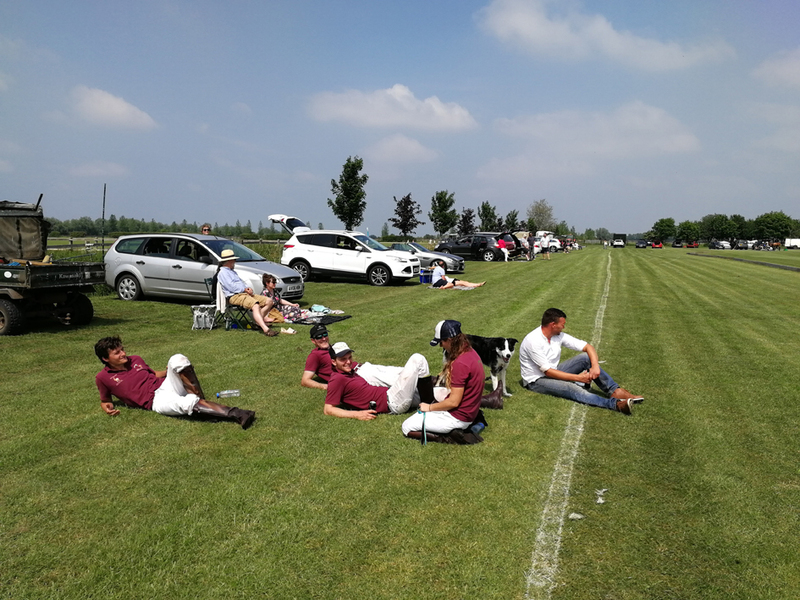 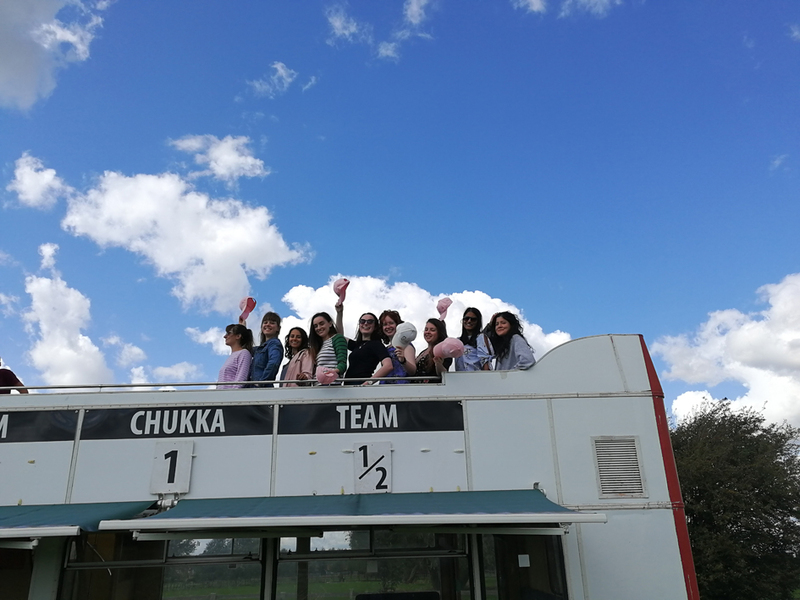 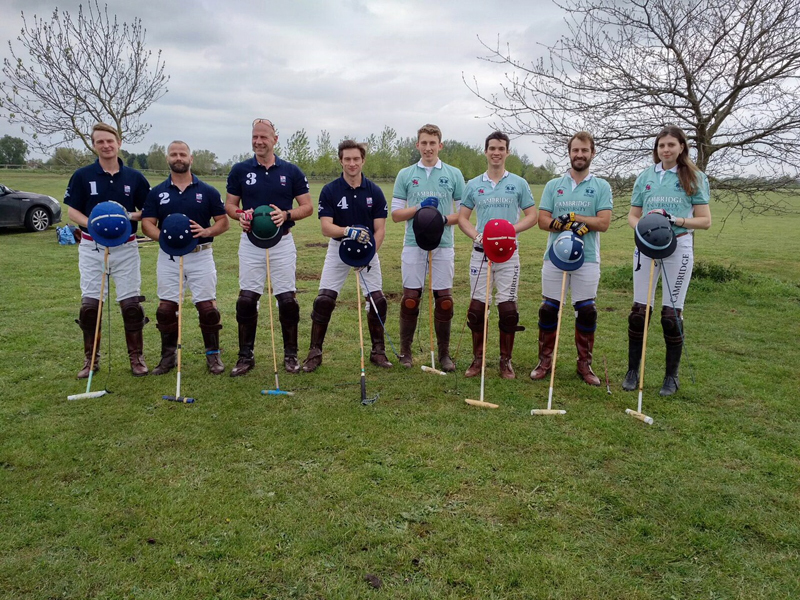 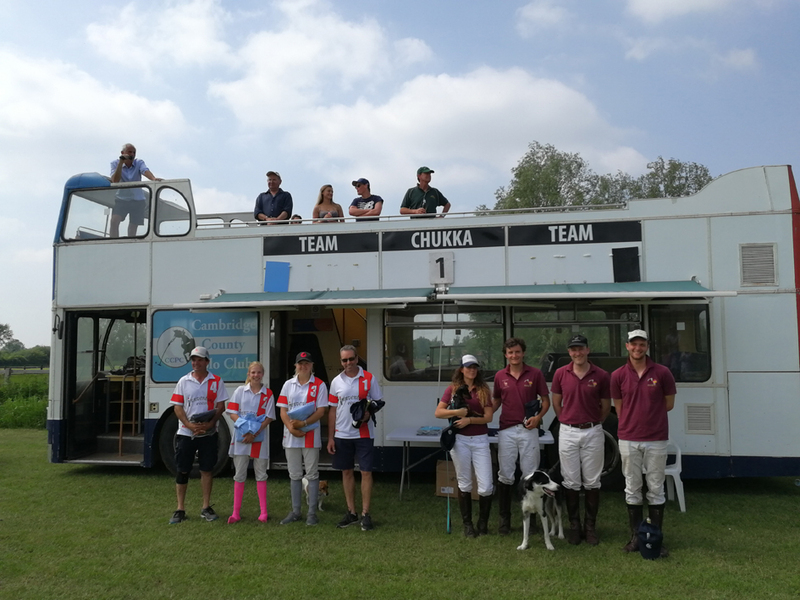 Saturday and Sunday chukkas starting at 11am are planned and played in the same manner as Wednesday evenings, but on tournament weekends may not be available due to member numbers wishing to play in the tournaments. 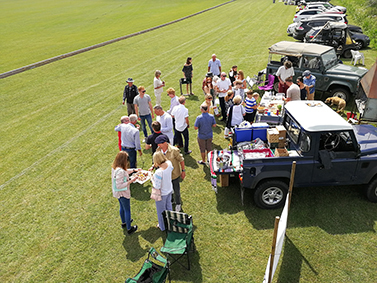 Polo Club Membership tier fees are set out below, everyone joining, except non-playing members, are required to also be an HPA Associate members. 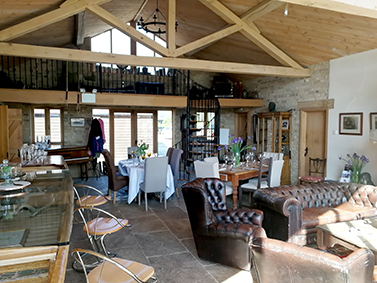 If a second immediate family member wishes to join a 5% discount can be deducted from the required membership fee. 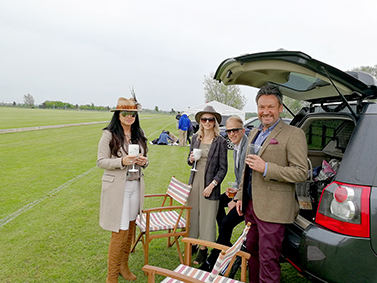 Please download and fill in the membership form below and post back. 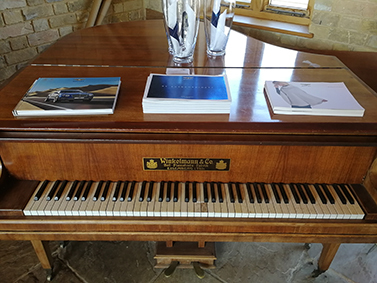 Please download and fill in the membership form and post back. 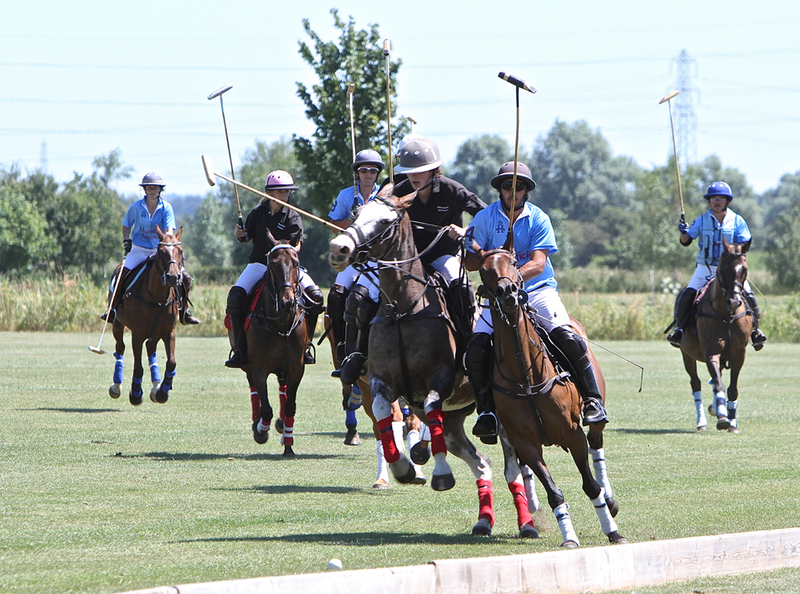 Cambridge County Polo Club can offer more than just membership. 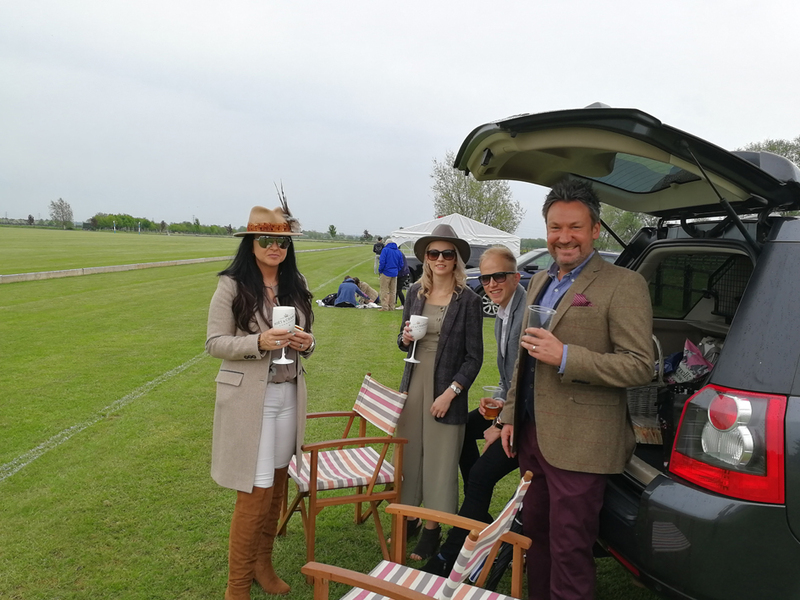 If you would like to hire a match ground for personal polo indulgences and play with your select friends this is charged at £60/player for a member and £90/player for non-member (four chukka match). 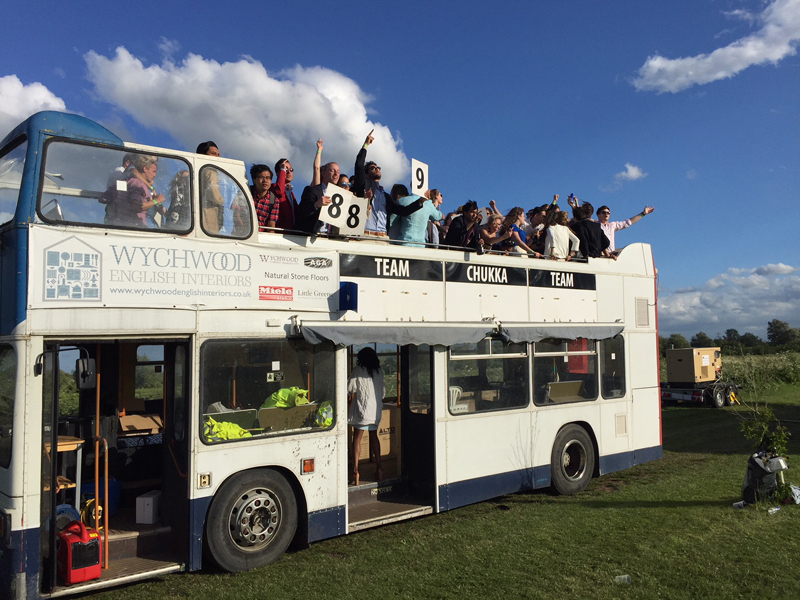 Please download the appropriate form to enter the above tournaments.